Perfect purchase. Top customer service. Speedy delivery. Fantastic product! The rug is fantastic and beautifully made. 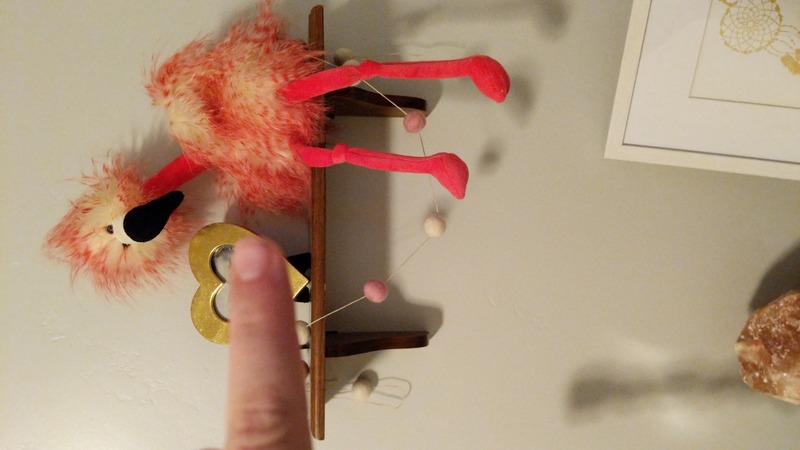 It really sets off my daughters room. Very happy with everything. Delivery was very fast. Every colour came wrapped and labelled which I was happy about. 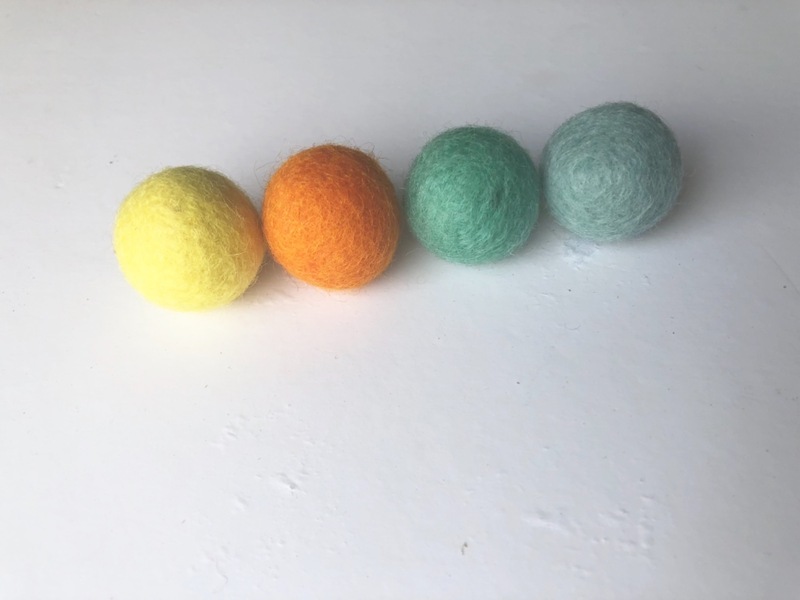 The quality of the felt balls are the best I have come across so far and the variety of colours and the ability to buy a range of colours bulk is amazing. Great price also!!! Will be buying again. Amazing quality and great prices! Amazing quality. Will always buy again! Really good. Prompt service and the quality was very good. Would use them again. I found them to be excellent. Just as I had ordered. The delivery was fast and they were all packaged and labelled. Overall I am extremely happy and would recommend them to others. Rug came as described and quickly - love it! Very soft under foot too. Very comfortable addition to the nursery . Quality work .Many thanks.. The craftsmanship of my new rugs is outstanding, and they make the perfect design statement in the guest bedroom. Thank you for your beautiful work and for creating this delightful addition to our home. Family and friends who stay with us will love them! It is super comfy to walk on and it looks fab. 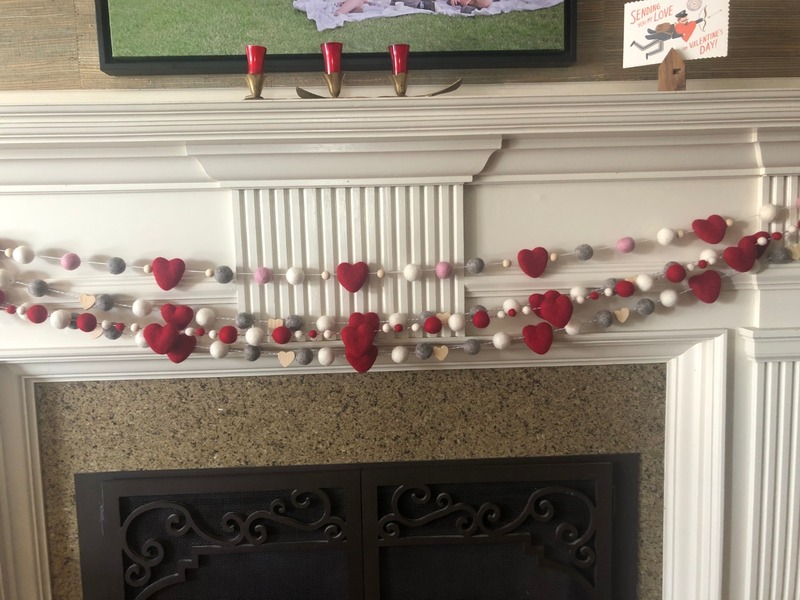 We love it and we love that Shanti crafted it so beautifully for us. 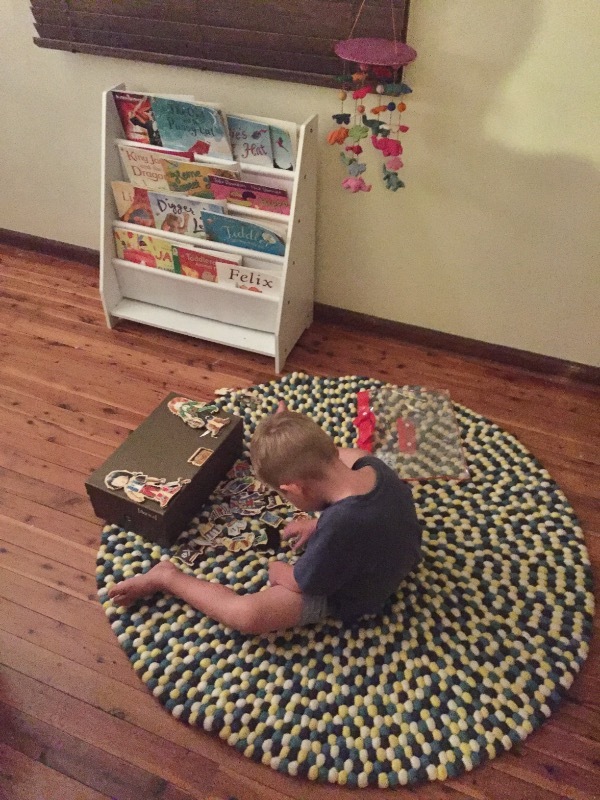 We hope to one day buy another rug from Felt Ball Rug Aus. 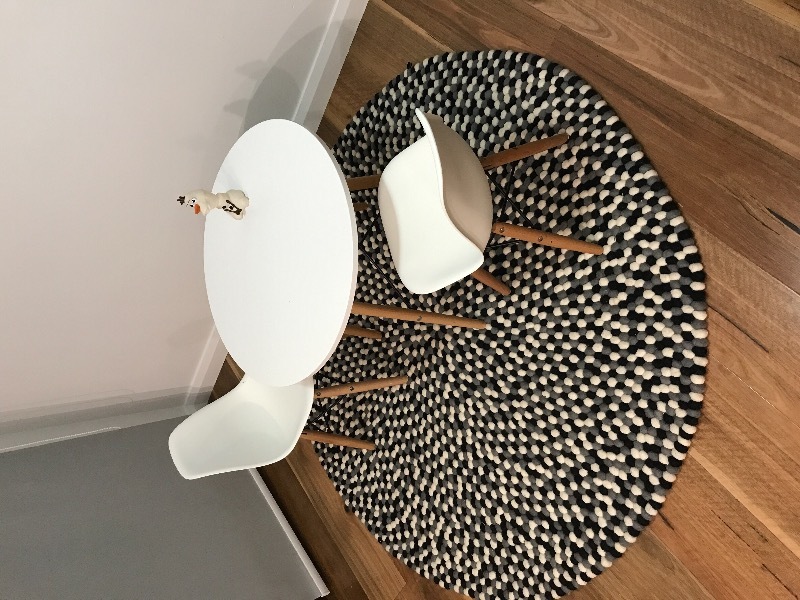 Thank you Felt Australia I absolutely love my custom rug and thank you for helping me design it! Such great service ! 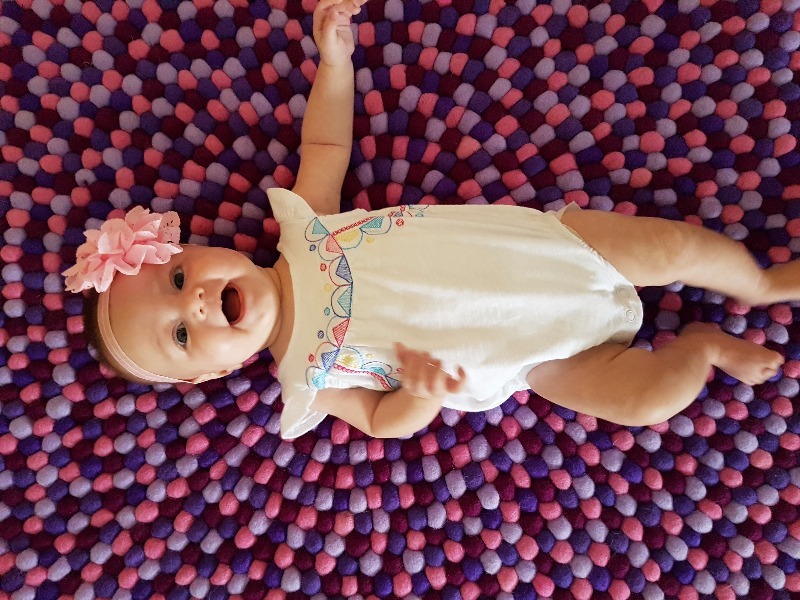 We were extremely happy with the beautiful felt ball rug we purchased for our grand daughter. Great item and very happy with the quality. Will buy again. 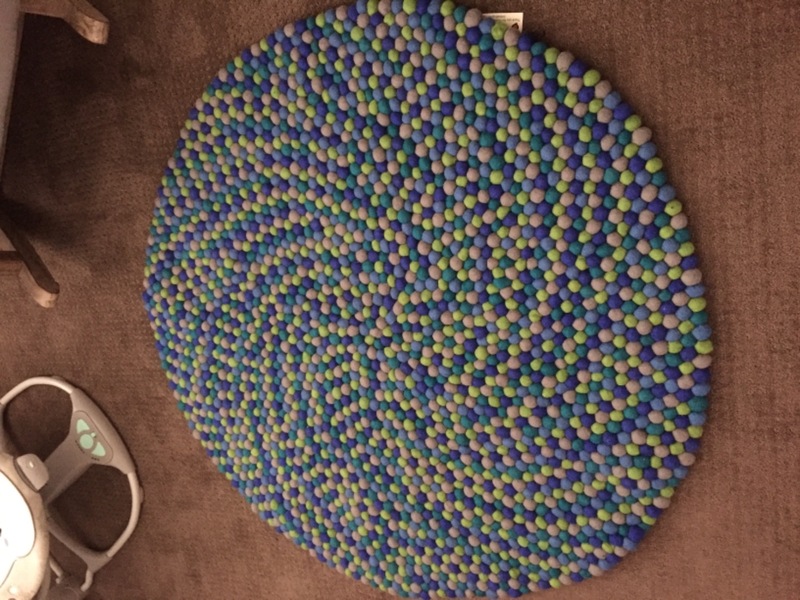 Our felt ball rug is really perfect. 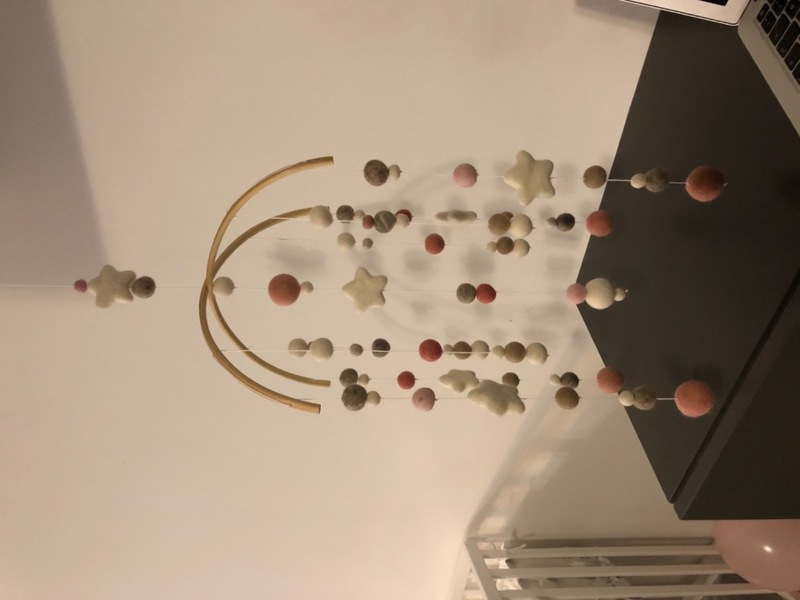 Very well made and the colours are vibrant ... overall it's the perfect piece for our room and we're delighted with the purchase. Thank you. The stars were wonderful, the hearts arrived with a good deal of dampness. 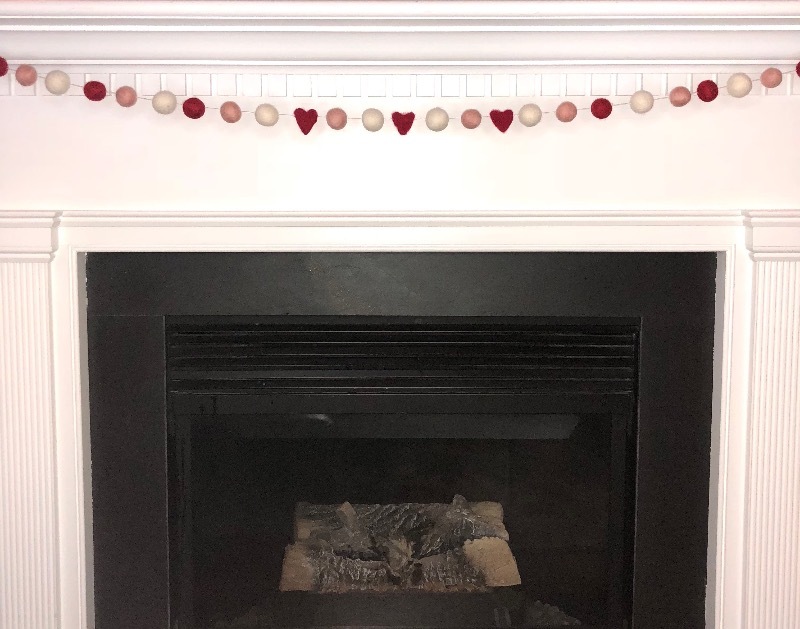 We made two garlands one with stars and one with hearts. The ornament balls that you gifted us with are beautiful. 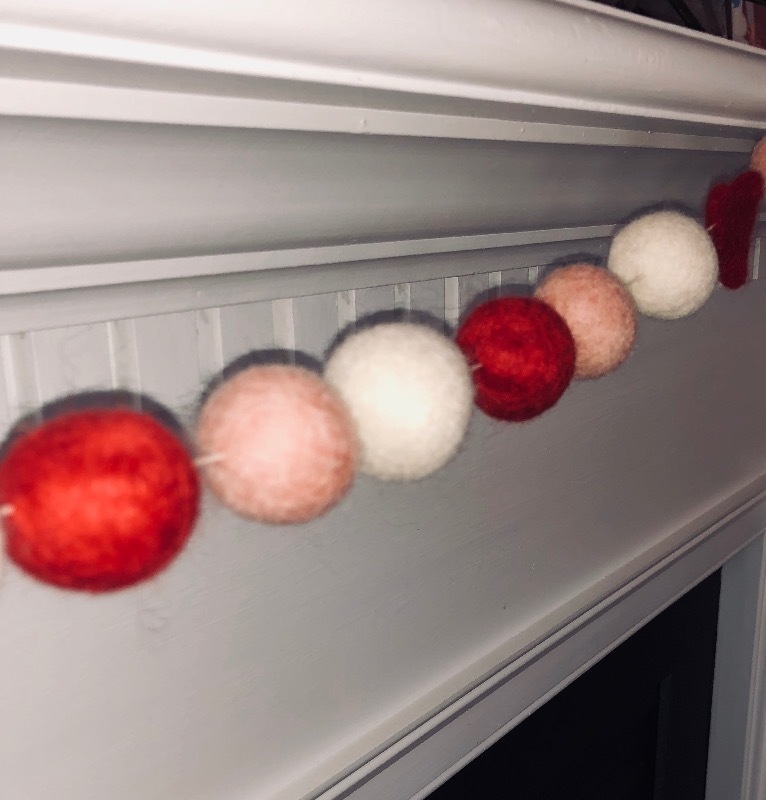 I will use the other balls next month as a garland for a new grandchild's room. Items were beautiful, service was great! This is my second purchase and I'm very happy. I will definitely repurchase in future!!! I love the colour range!!! Order arrive correctly and met all expectations! 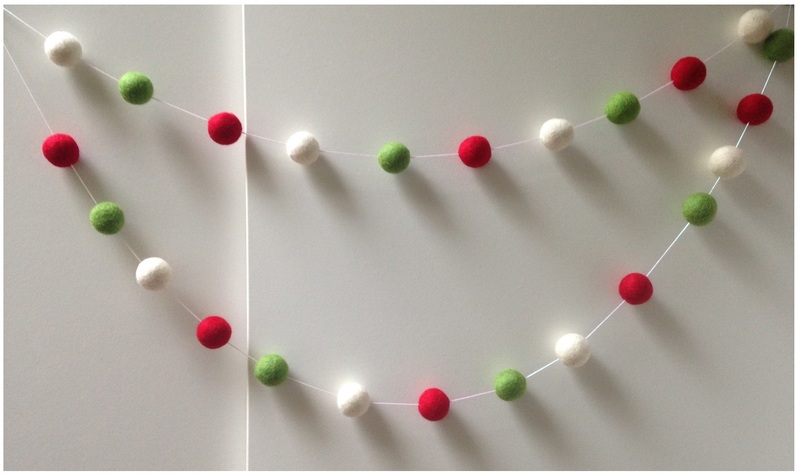 The felt balls are so much better than I expected! Thank you!!! The delivery was fast and the product just what I ordered. Good quality materials. 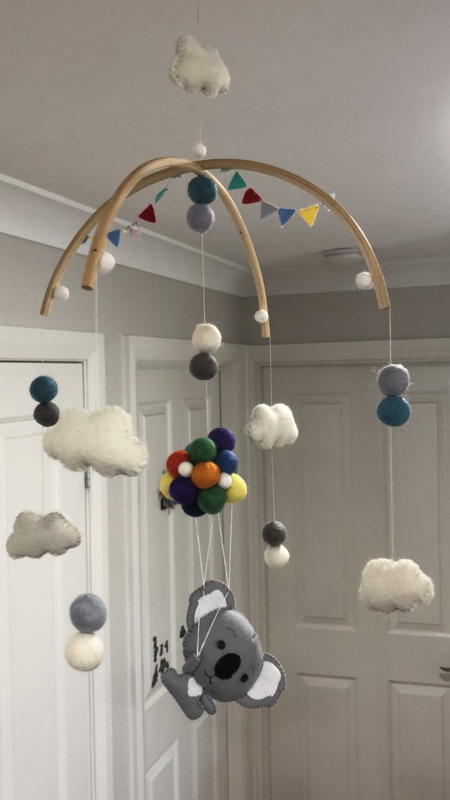 I am so pleased with my DIY mobile. I love this product! They are absolutely perfect for the project I am using them for. 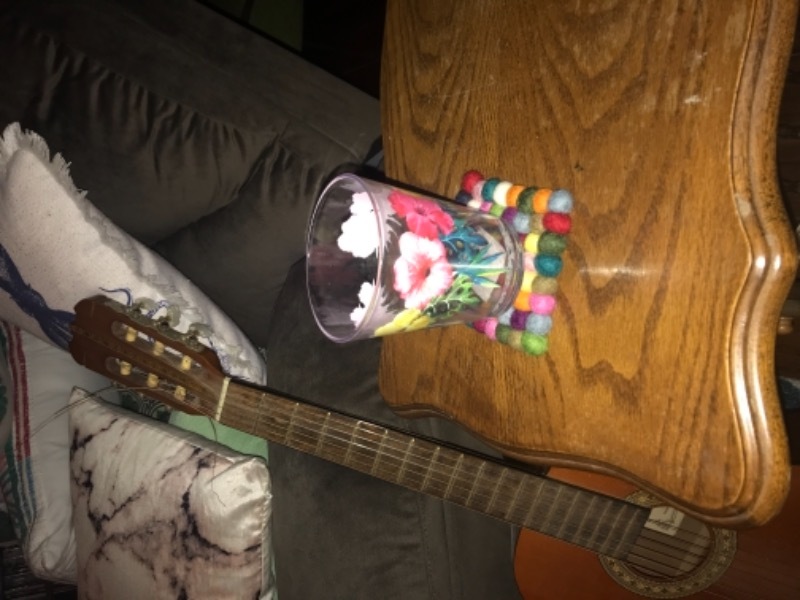 I have my own company, and when picking product to use to make my items, I need to ensure accuracy and not waste time having to ship back bad product. These are as perfect as advertised and even more then that, the colors are exactly as pictured. They are the best price out there and the quality is the best out there. So no need to do any more research, I did it all for you, and this company is your best choice! Seriously! Good work, amazing product, fast and efficient shipping, dynamite pricing and happy customers! 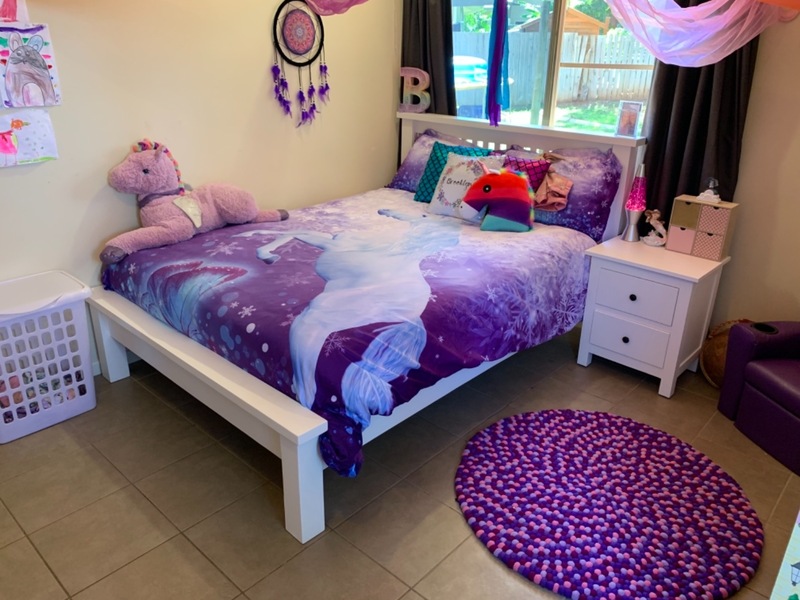 I bought this rug for my daughter’s bedroom. It is beautifully made and 5he colours are vibrant and harmonious. It also feels soft underfoot. 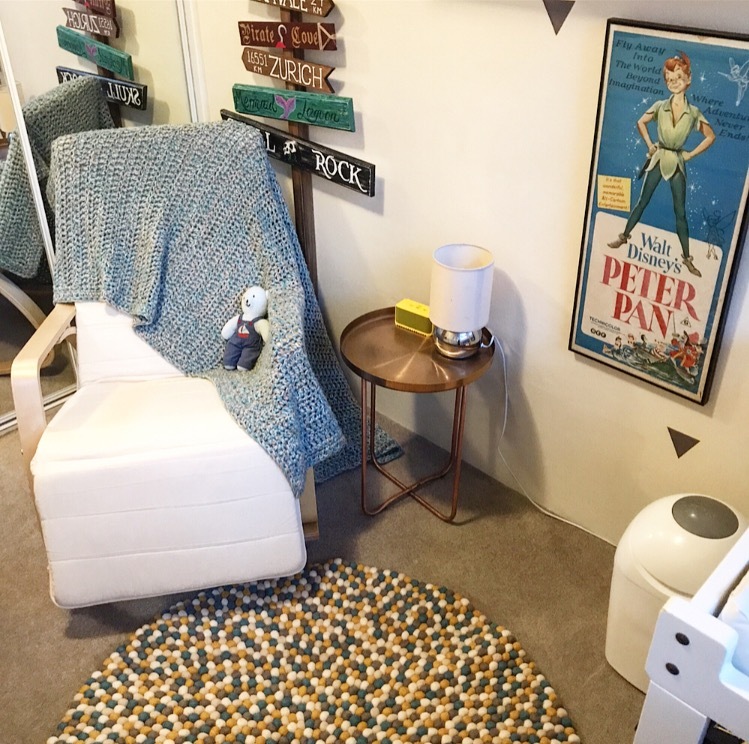 We loved it so much we bought another much larger rug for another room. 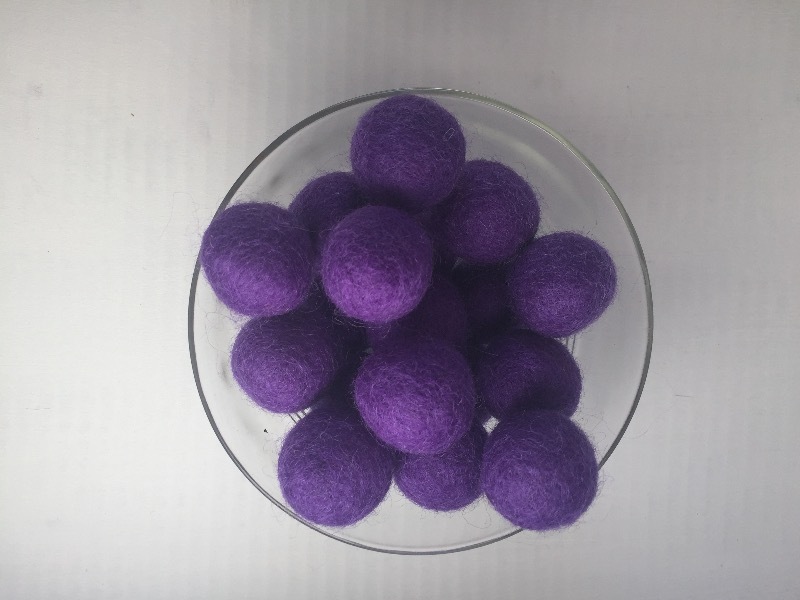 These are great felt balls and service. Sometimes there are sticks embedded in the occasional ball or a spot, but overall the quality is good. There are usually only a handful out of a thousand that I don't use because of defects like stick that I can't remove or stain. I love this little bag. I was disappointed the colour I wanted wasn't available but the bag is very handy. 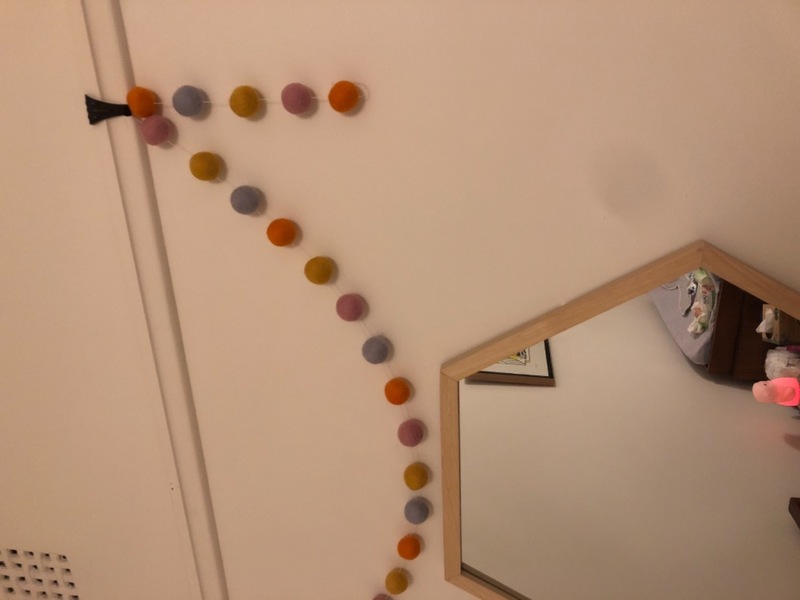 I was very impressed with the feltballs the density is very good as are the colours I ordered. The order arrived the next day - very impressive. The only problem I had was that the company left my flat number away and if it wouldn’t have been for the detective work from the postie I probably wouldn’t have received my order. This is the most beautiful rug to look at and Amazing to touch. Trust me the photo does no justice as to how Superior this rug is. I want to Sincerely say Thank You to the lovely artist who created this Masterpiece rug that looks more like a main feature in the bathroom. I bless the hands and energy of the beautiful soul that created this rug, and put her energy into this rug that graced its way into my bathroom. Mujde Ibrahim. Excellent quality and quick delivery. 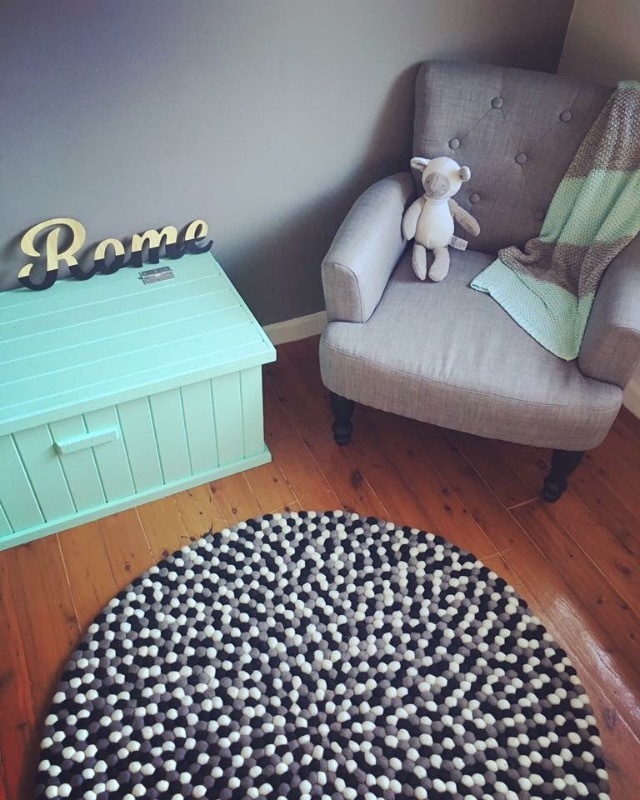 Love this rug it’s the perfect addition to our nursery. 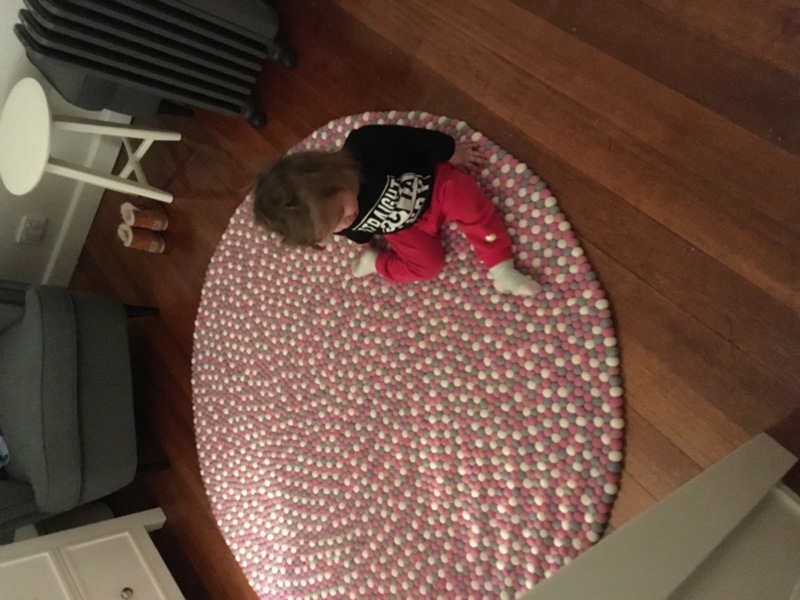 My little one absolutely love her new rug. Very thick and soft, beautiful rug! Extremely good quality! My sister loves her new slippers. Thank you! 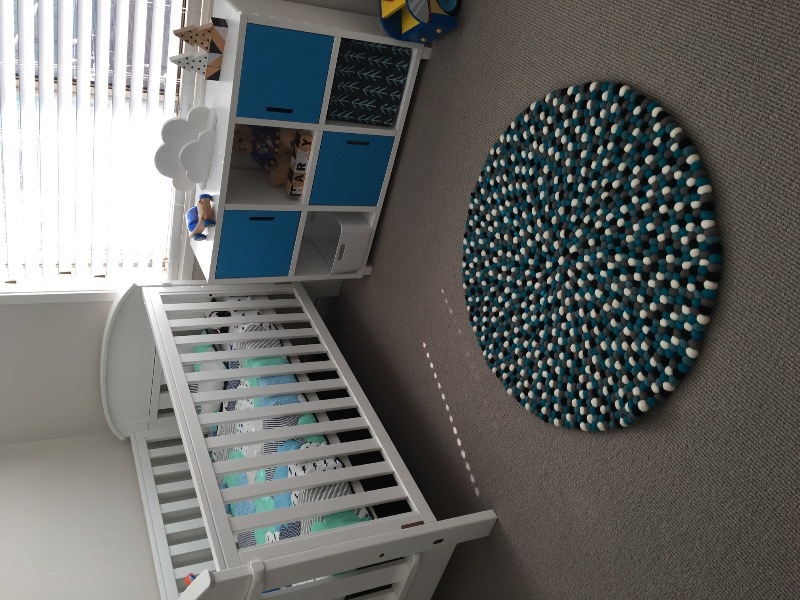 Ordered a 1.6m custom round felt ball rug and it suits our nursery beautifully. Very good quality and comfortable to walk on. Was delivered quickly. 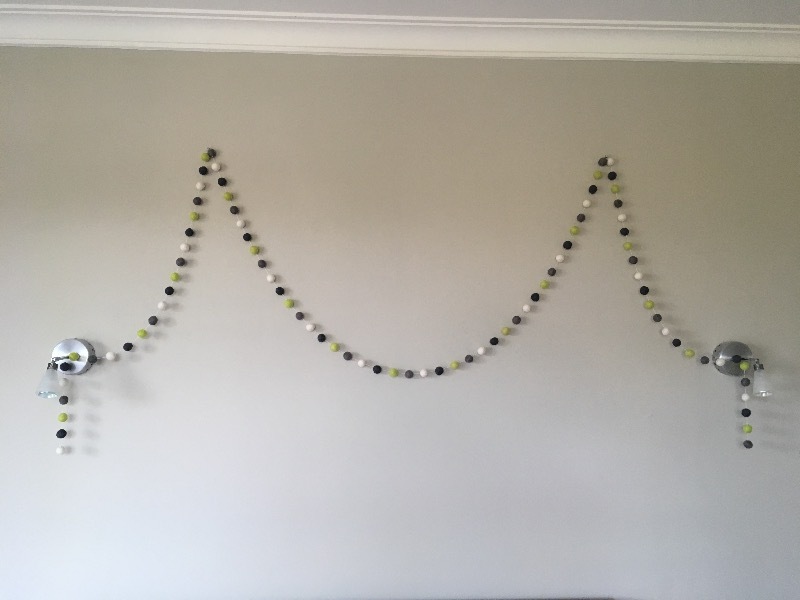 The frames were perfect size and very easy to put together and hang. Thank you. Such a lovely, soft, colourful addition to my littke girls room. Thank you! The process was fast and the rug looked exactly as wanted. The service was great, the producteautiful. Highly recommended and will buy again. Exactly what I wanted. Quick delivery. Perfect. 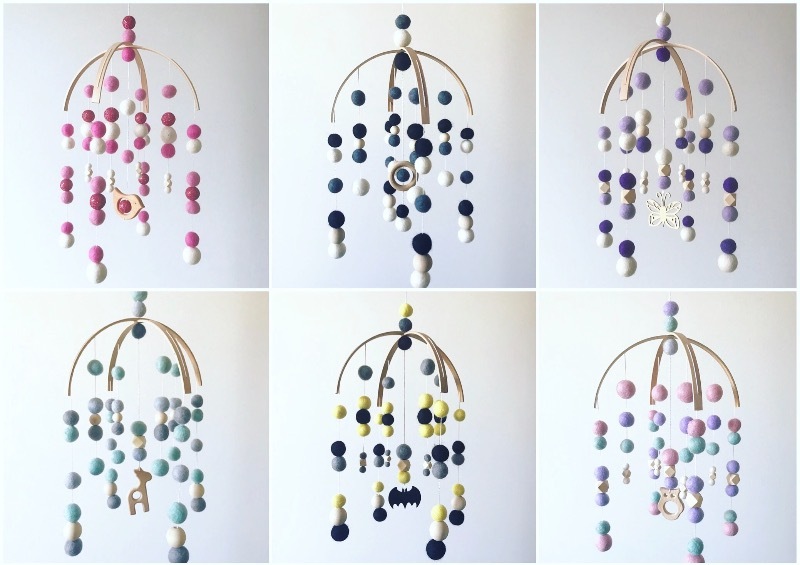 I’m so obsessed with these balls, my son and I love every colour so much we keep creating new combinations it is hard to decide which to commit to! But there is no way to fail, they are all beautiful. Items arrived pretty quickly. Happy with quality they are always perfect. Lovely item. Good craftsmanship. Arrived very quickly. Thank you. Very easy quick process. 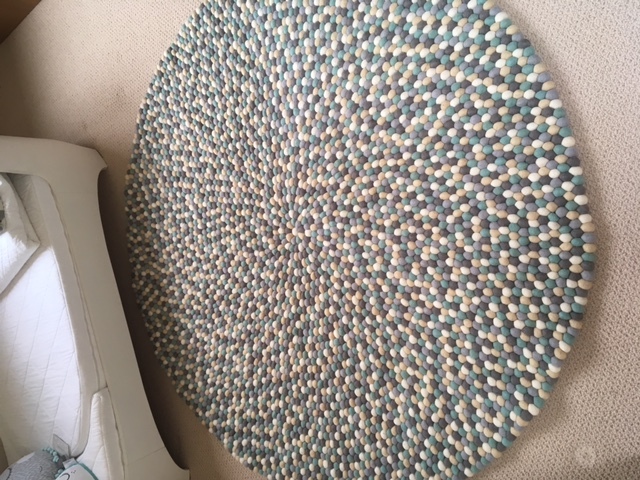 Couldn’t believe that a custom rug could be made so quickly and beautifully and arrive at my door in less than 2 weeks. Thank you so much. The purchase and delivery of the sample chart was quick and hassle-free. 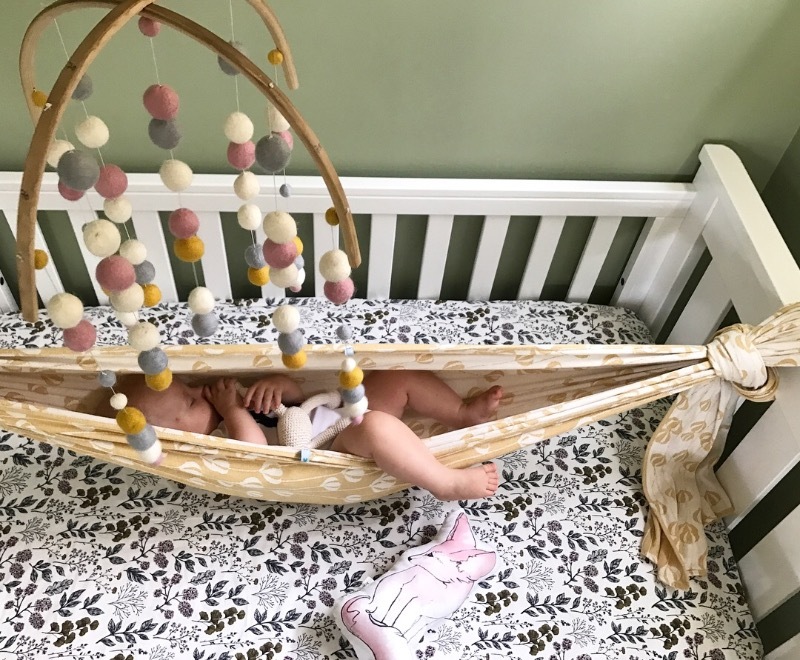 Using the online tool together with the real-life samples, has helped us greatly with our design for the nursery rug. I can't wait to see the finished product! 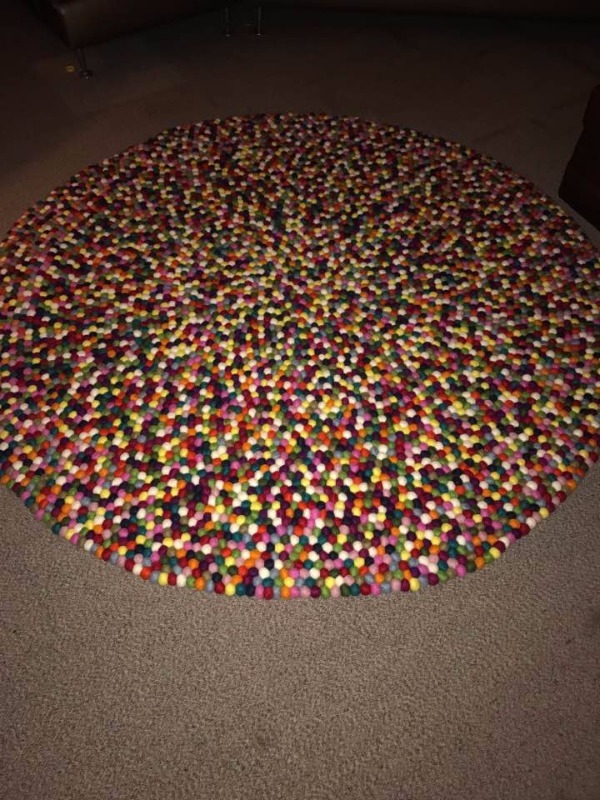 The rug is perfect! Thank you! Looks fantastic! Great quality product. Love it and so does my child! 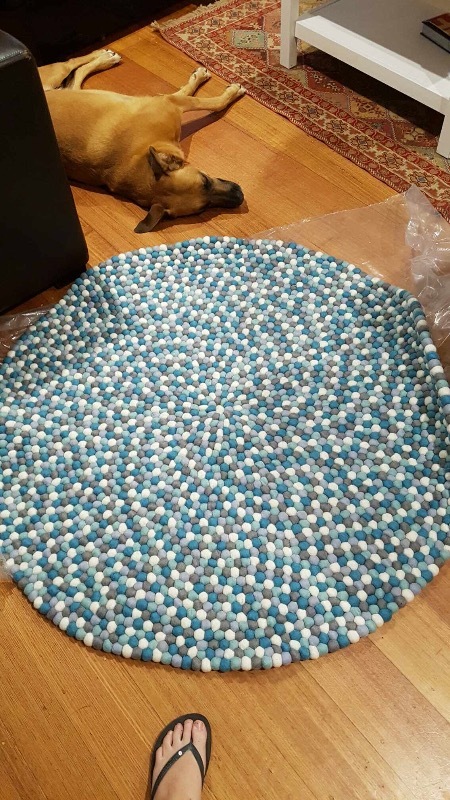 Ordered from Felt Ball Rug Australia a couple of times and have not been disappointed, products match to those shown and delivery was very prompt. Would definitely recommend and will ordering from them in the future. 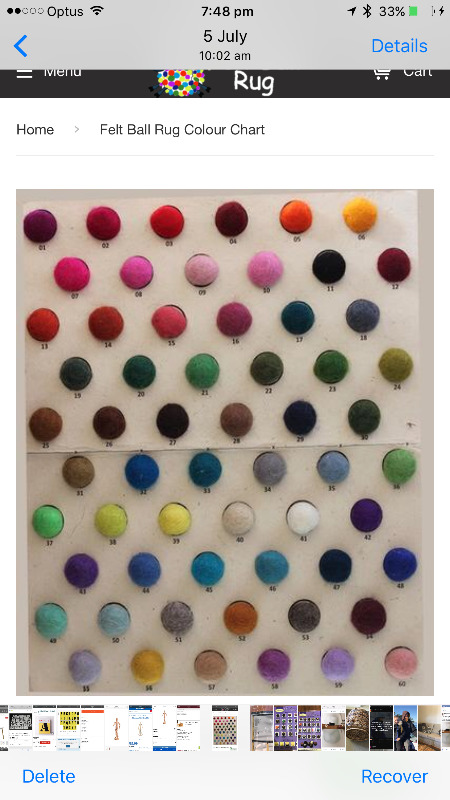 Very helpful to identify actual colours before having a rug made up – if you are particular about colours, it’s a useful step. Ordered the item on 3/19. It is 4/3 and I have no idea where it is. 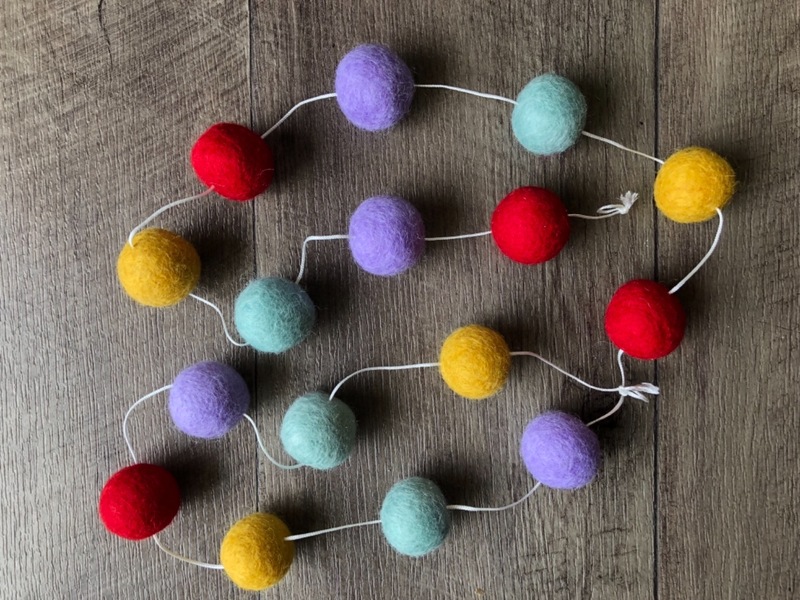 Nowhere on the website does it say the felt balls ship from Australia nor does it warn that shipping takes weeks and weeks. I needed them for a project that was already due, I assumed they would arrive in more than enough time to complete it, and they have not. 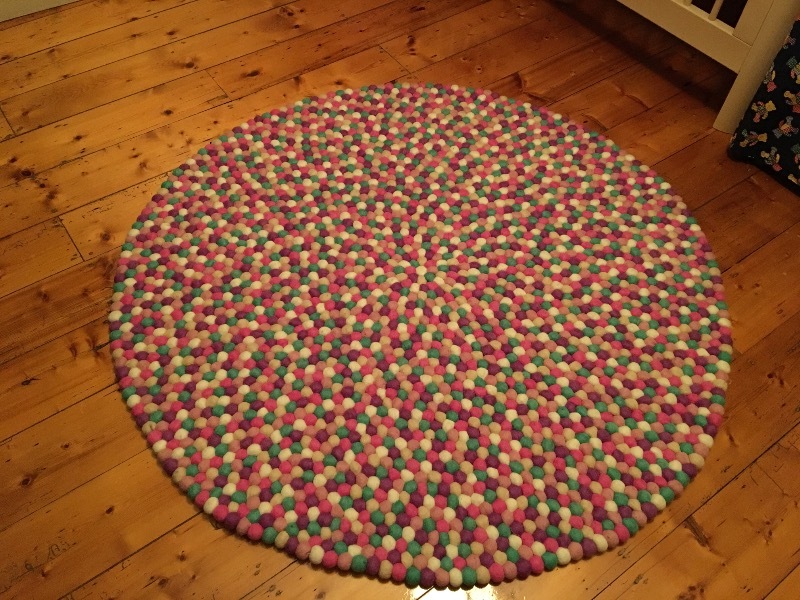 A beautifully hand made felt ball rug, really happy with it. Great service and even a 5% discount was applied.. Highly recommend.. Exactly what we expected, nicely crafted and arrived very fast. Could not ask for anything more. The colour play is amazing! The colour play is amazing! 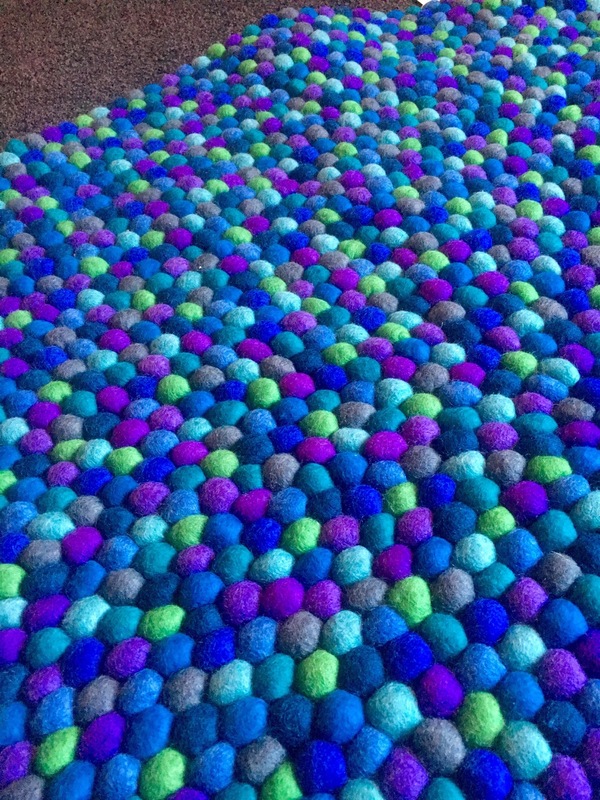 I am so pleased with my feltball rug! Great service is always quick and quality of products is good too . Always coming back . 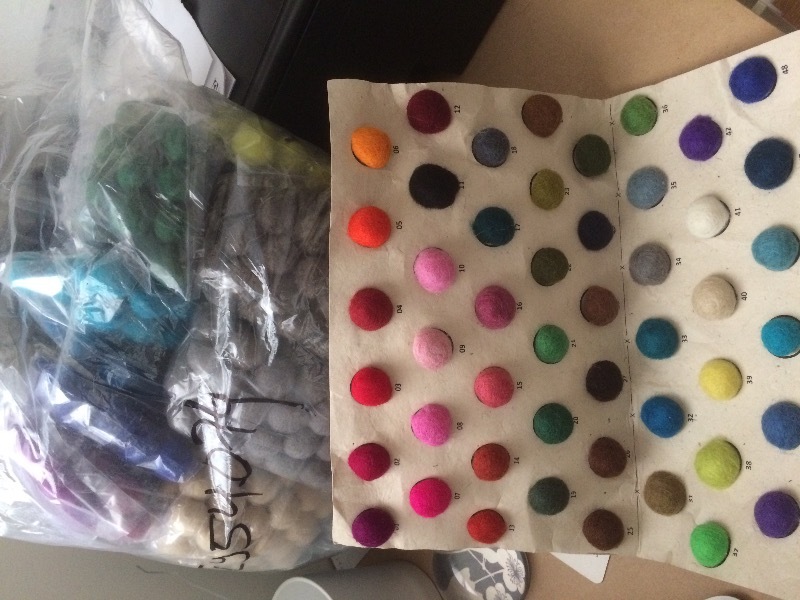 Ordered 500 Felt Balls in colours+quantity of my choice… Some colours had a higher quantity, some a lower than ordered… So yeah, I did receive my 500 but not in the colour/quantity choice I required. But hey...Super fast shipping!! They don't take it very exact with numbers and colour choices…. 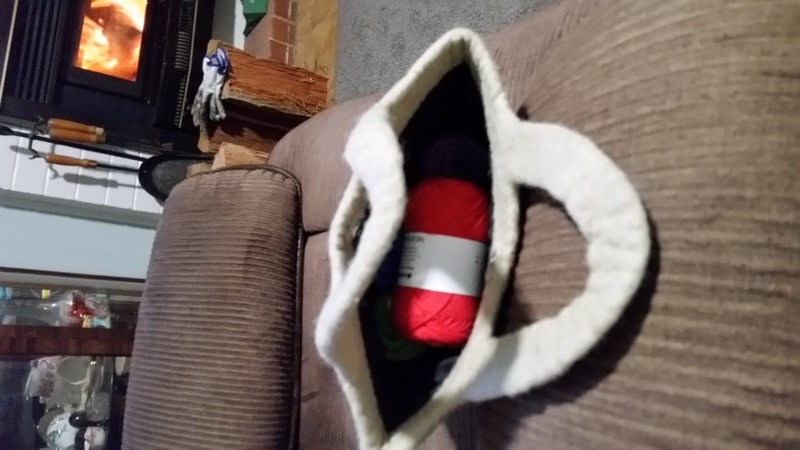 Felt ball rug was uneven, squashed and poorly put together. It is never flat on the ground . I would not recommend this company. Was great, these are much better quality compared to the hoops I got earlier. Great service and speedy refund on an item. I am waiting on wholesale prices so hoping someone e-mails me soon. Such a beautifully crafted and lovingly hand made item. My god son loves it! This was the perfect way to narrow down my colour selection- great idea and very quick service! The small balls were smaller than anticipated, but very nice. 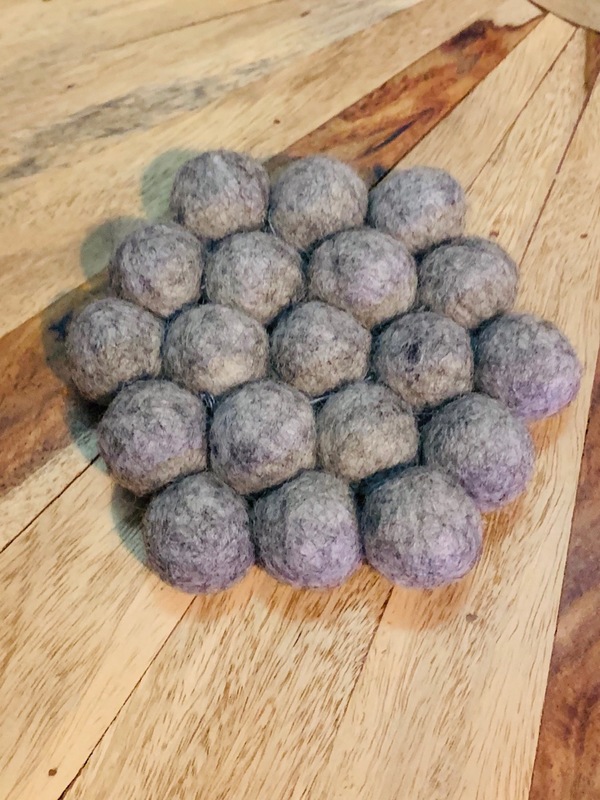 I’ve tried making felt balls at home, after many failures I decided to try these and am so happy I did! Amazing quality and 100 times better than mine! Thanks for your hard work! Awesome! Love the colors! Shipping was quicker than I thought! I would definitely order again from this company! I only got sample photos, haven’t actually ordered a rug yet. Can’t decide on colours. 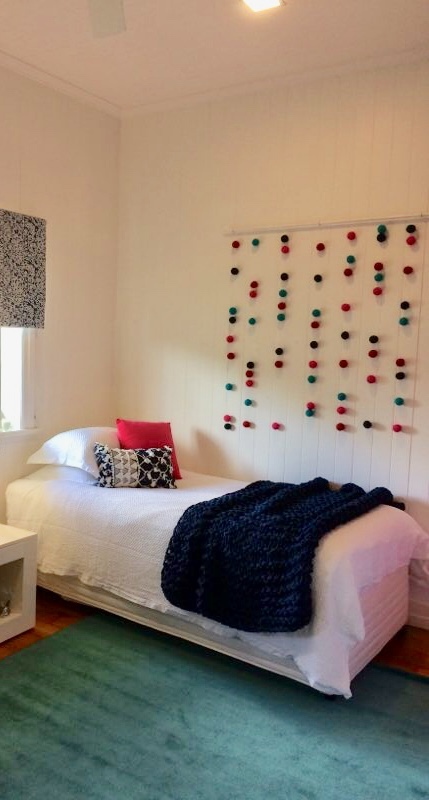 The rug is beautiful, carefully handcrafted and matched the room. The rug looks like the ultimate finishing touch that brings everything together. 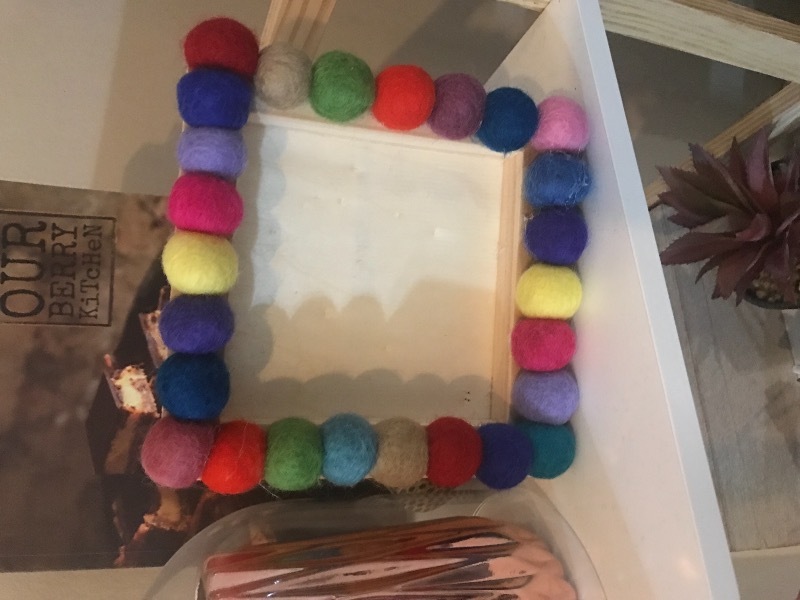 These coasters have been given as presents to a few friends - so far, their reactions have been really excited - they have truly loved the Felt Ball Coasters in their multi-colours. I just knew they would appreciate them as much as I do. A big thank you for the workmanship. I loved receiving these, super quick postage. My only disappointment was that some colours were closer to 2.5cm than 3cm but as they are hand made I can totally understand this. Thanks again! I can’t believe how quickly the order was processed and delivered. Thank you! 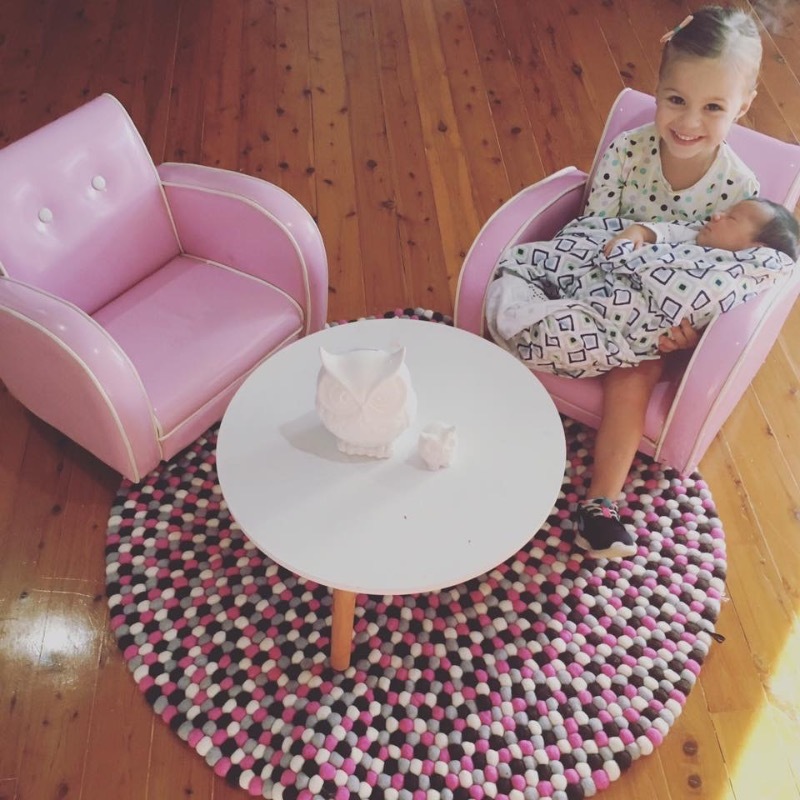 Very happy with our rug & matching mobile for our little girls nursery. I was surprised with how fast we received the order. Highly recommend this company & their products. 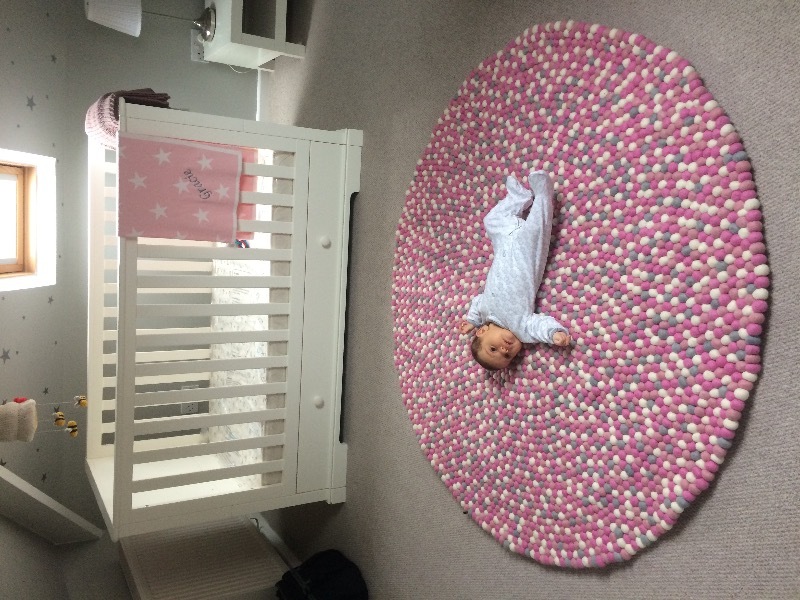 Very happy with our little girls rug & mobile for her nursery. I was surprised with how quick I received the order. Highly recommend this company & their products. 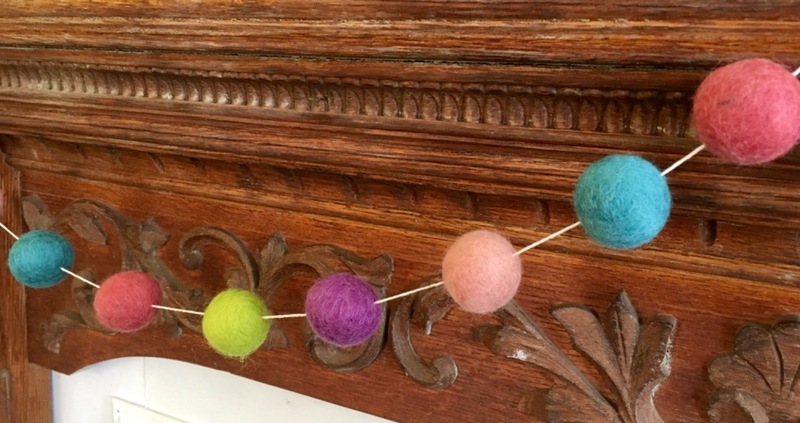 The artisan who created the beautiful felt balls is an expert at her craft. The balls are very well made and perfectly formed. She is an artist! Thank you very much! No product yet to review! I haven't yet received the item so I cannot comment on the item itself but the shipping has taken 2+ weeks and I don't know when it will arrive. 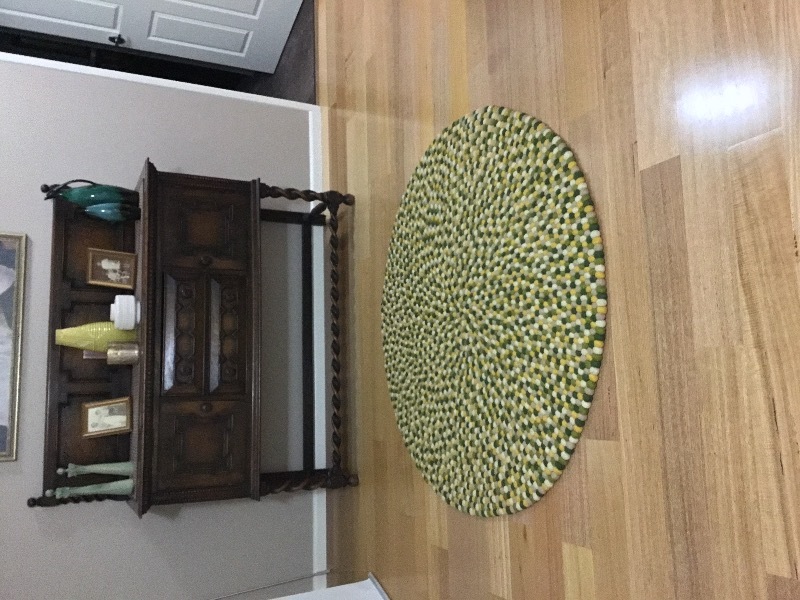 From the arrival of my rug to now, I am still absolutely over the moon with my Mustard Dream felt ball rug. The quality is flawless and the colours match my bedding perfectly too! Felt Ball Rughave been in touch and always were quickly to reply to my emails. You have such a beautiful, well-operated business with amazing rugs. Thank you so much again. Great, consistent product. I ordered at a busy time of year and they were very kind about updating me w the statice of my order. I would order again. 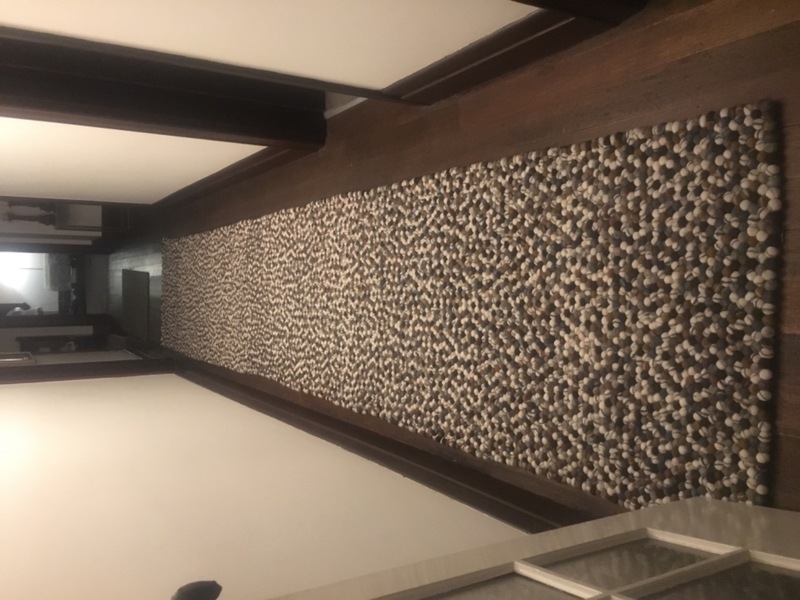 Thank you very much for a nice and unique carpet. We simply love it! Also the fast delivery and the personalized tag on the carpet with the name of the producer was amazing. Thank you and we will definitely order another one shortly. 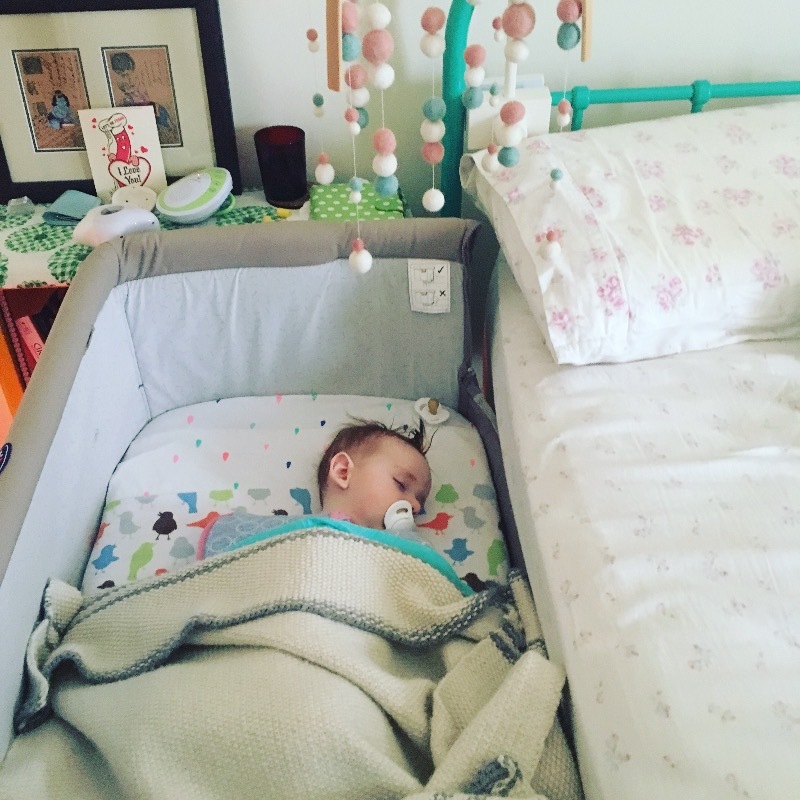 The rug is a gift for my infant daughter for her bedroom. It really brightens up her room and she loves to look at all the colours. It’s a lovely rug for her to Olay on. 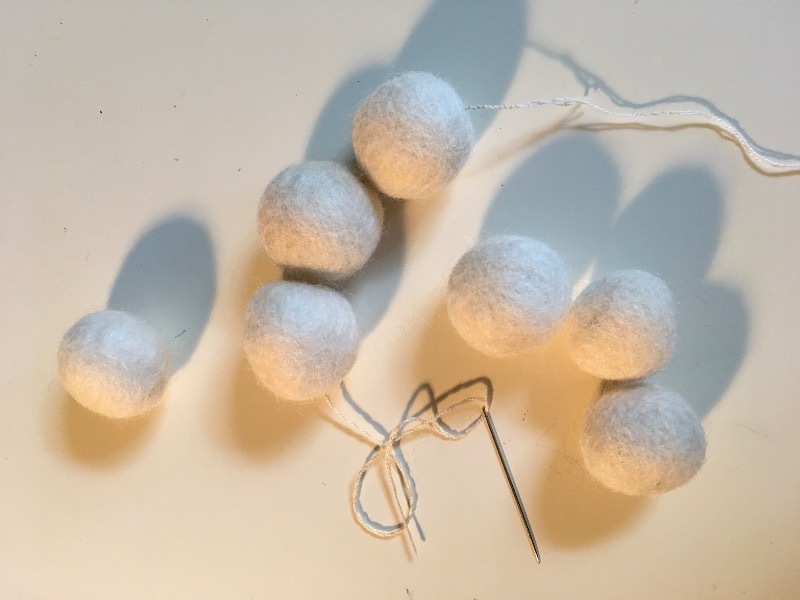 These little felt balls are exactly as I pictured. Their shape and form are consistent and perfect for my art work. 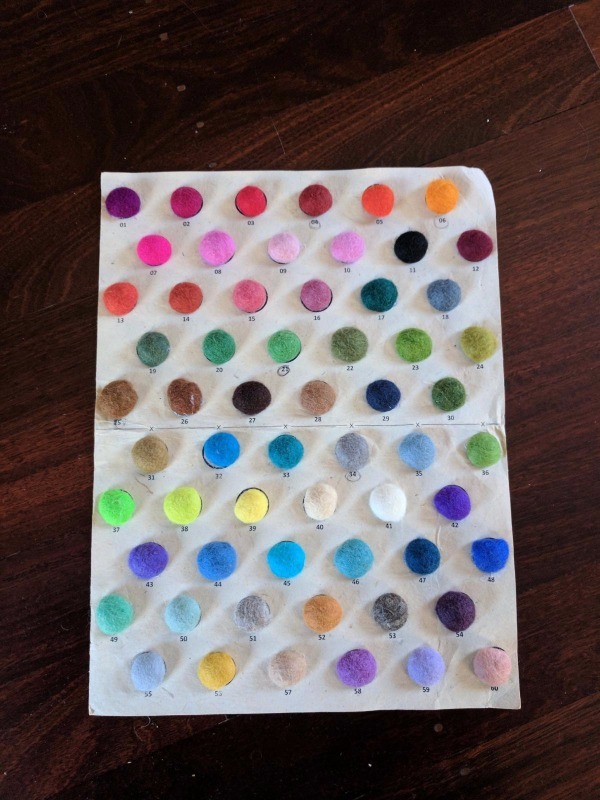 My purchase experience was smooth and easy - allowing me to chose as many colors and as little or a lot I wanted from each color. The sales person responded on 'chat' with precise and timely information. The delivery was amazing - fast, efficient and all packaged in individual bags with proper labeling of color and quantity! Thank you! I love how my mobile came together, it looks just gorgeous! 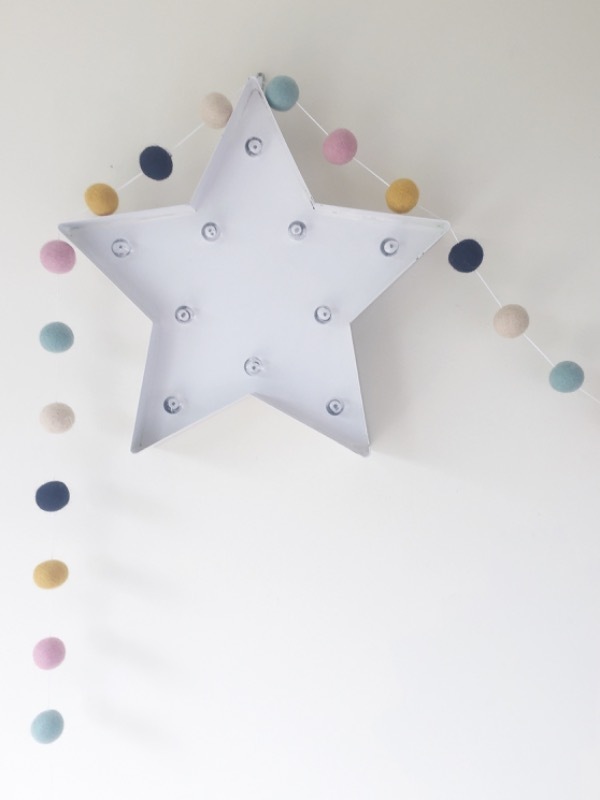 I haven't hung it yet as the nursery is still coming together, but I loved being able to customise the exact colours I wanted. Wonderful product. Beautiful colors. Well made. And exactly as ordered. Great everybody loves it. It is well made. Wish I purchased a bigger one! 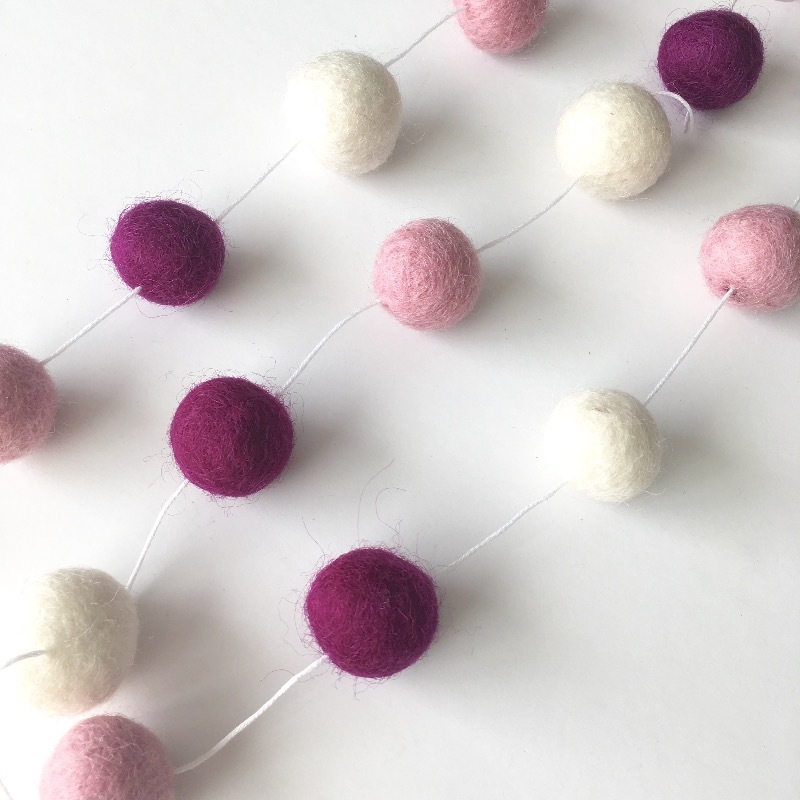 Felt ball colours received were as per images however small winter white balls look more lilac and don't match the colour of the larger winter white balls ordered. Also balls were not true to size with some misshapen. Initial communications were great however no response once I emailed regarding the colour discrepancy. Beautifully made product! Would definitely use this business again. Thanks so much for a fast turn around time and wonderful product. Arrived so quickly, great quality, finally finished by wreath! The balls are lovely, though some are quite small. 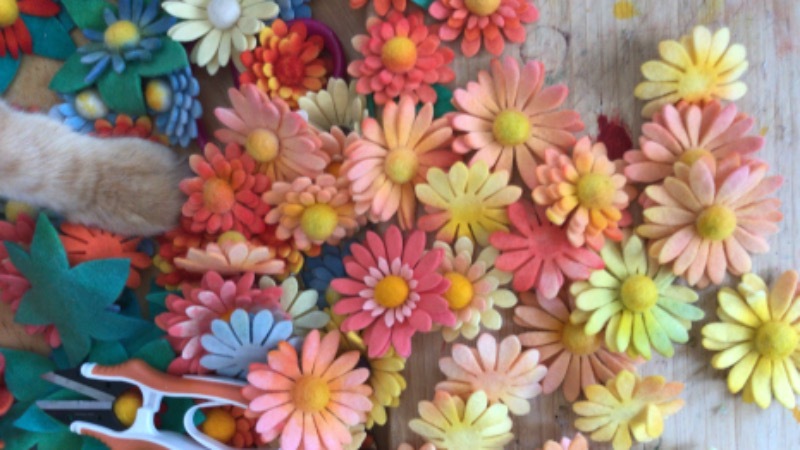 I have been making garlands with them and they are fabulous to work with. From viewing the product online to purchasing it and then receiving it, I could not fault anything. I had seen the rug months ago and loved it immediately but didn't buy straight away. 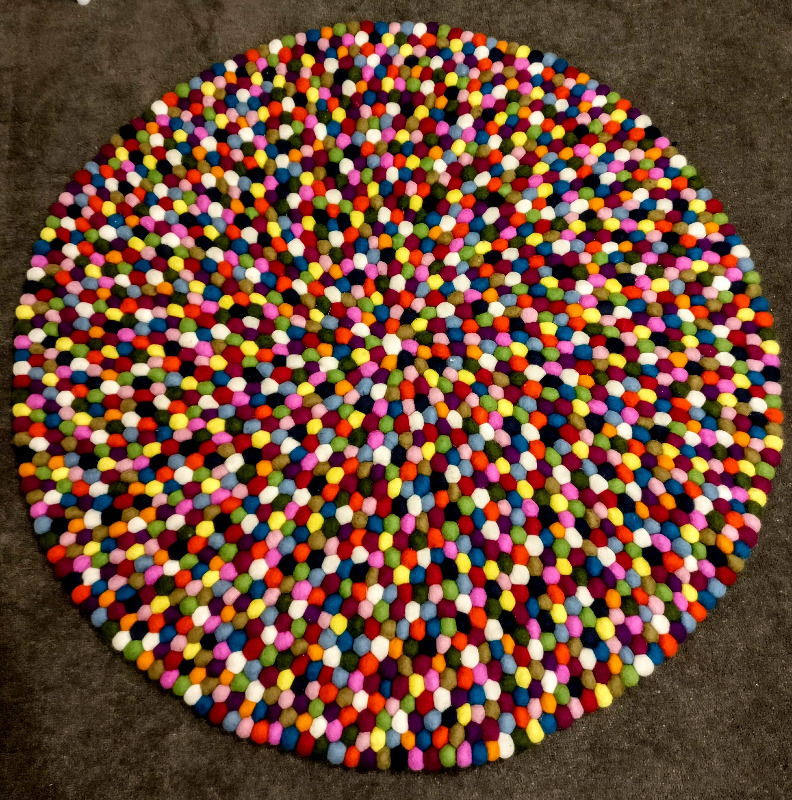 After continually thinking about it I finally went online and purchased the rug I had wanted very quickly and easily. Updates on the arrival of the rug were efficient and it arrived to my door in 10 days. I absolutely love it. My kids love it and I will definitely be purchasing another one or two. Thank you Shanti for your beautiful work, it is very much appreciated. 2 thumbs up!! Overall very professional and exactly the colours I wanted. 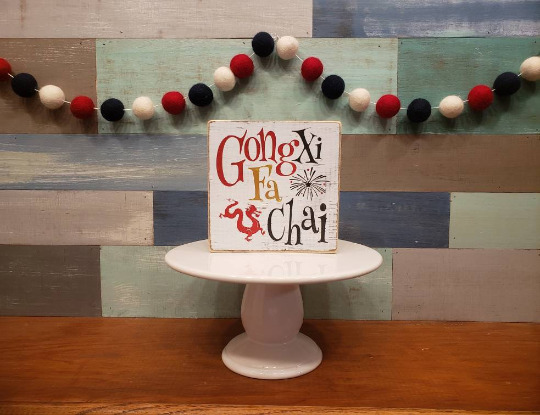 The trivet and coasters are so bright that they bring joy at every use!! A great gift for the colour loving people in your life!! 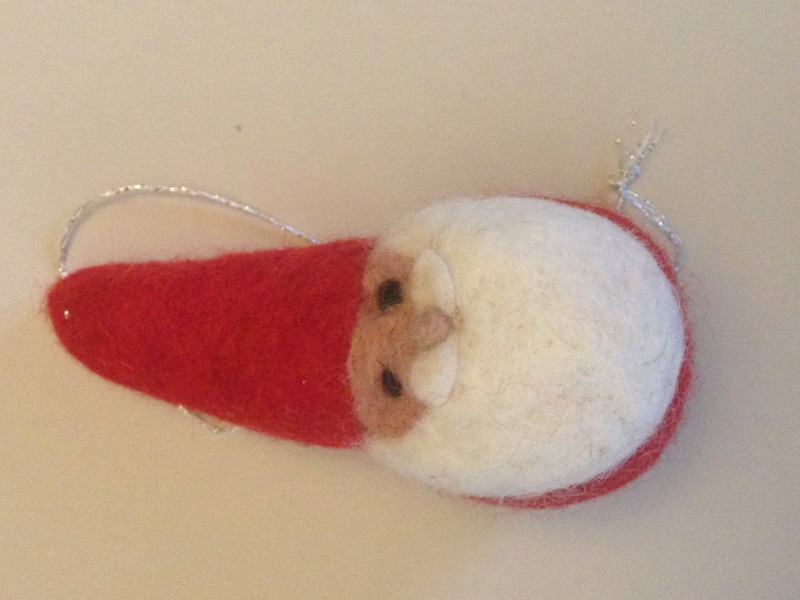 These Santa decorations are great value as they are about twice the size you expect for the price !!! The item arrived as ordered. They were in good condition and met my expectations of what I saw online. 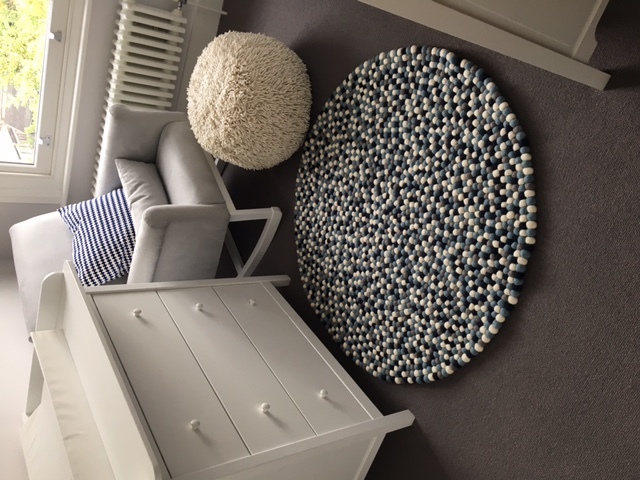 Thank you so much for the wonderful rug and specially thanks to Januka who made my rug. Fantastic. Didn't have to wait long. Liiks grwat. My son told me, 'this is the best Christmas gift ever'. Love the names of the beautiful people who made it on the tag. We're sitting on it now watching Christmas movies... just lovely. Thank you Shanti for making such a beautiful rug beautiful rug. We love it :-). 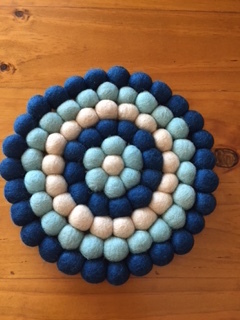 Thank you for a beautifully made felt ball rug. It was exactly as described online and the colours are beautiful. My daughter loves it! Great quality balls, and fast postage. Thankyou. 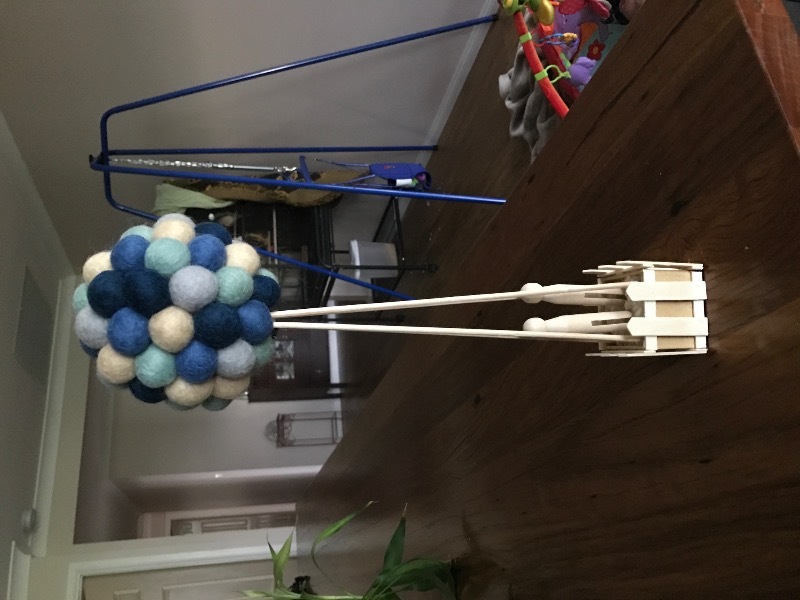 The larger balls were a great addition to my baby mobile. 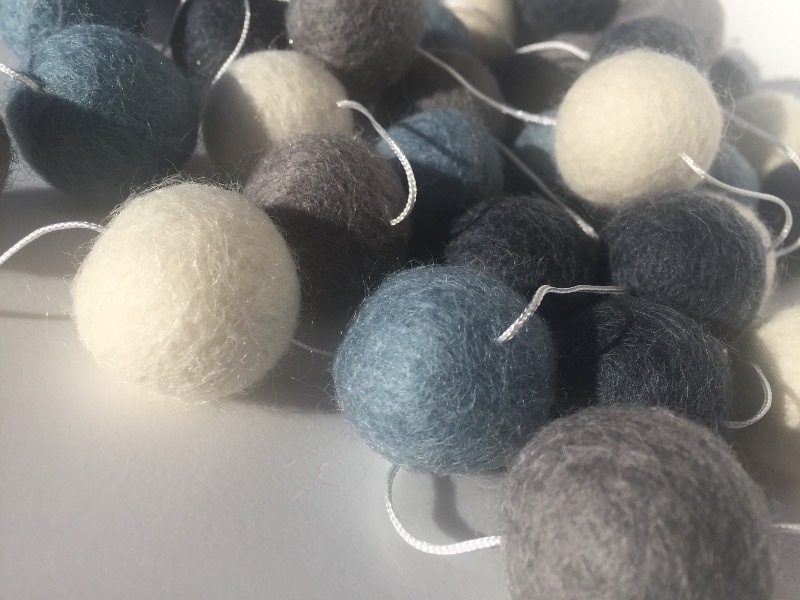 Beautiful quality felt balls, perfect for what I need them for. Efficient service with quality materials. Efficient service with quality materials. 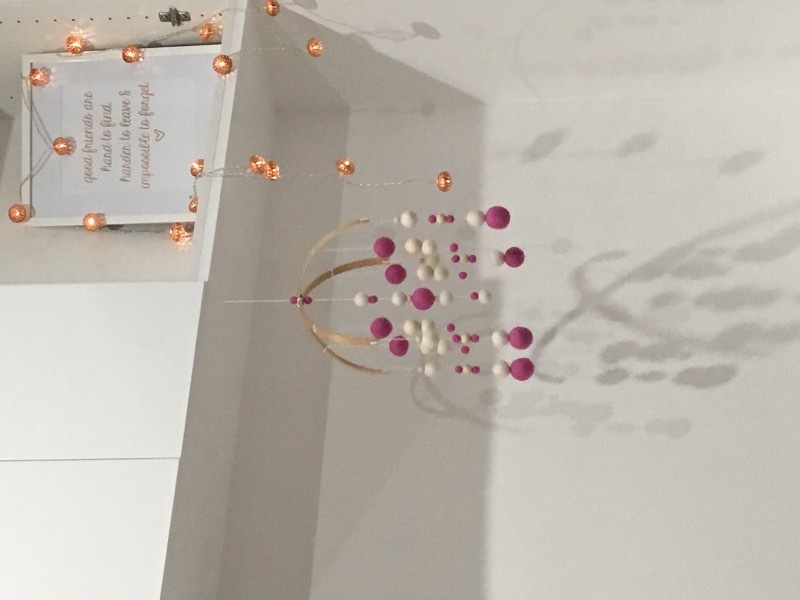 I have enjoyed making some mobiles for my new great nieces and nephews! this was a present to my wife who has been wanting one since it was seen in a magazine. a true surprise when she saw it. I am extremely happy with my ottoman! It’s perfect! Thank you so much for all the hard work you put into it! I ordered this in a large size which states it is for a 6-7kg cat. My cat weighs 5kg so I thought there would be plenty of room. This was so small it would only be big enough to fit a kitten in. I would like to send it back for a refund. Also you should change the information regarding the product as it's totally wrong. I was blown away by the service and how quickly they are able to answer your questions . And the quality of the product is amazing. 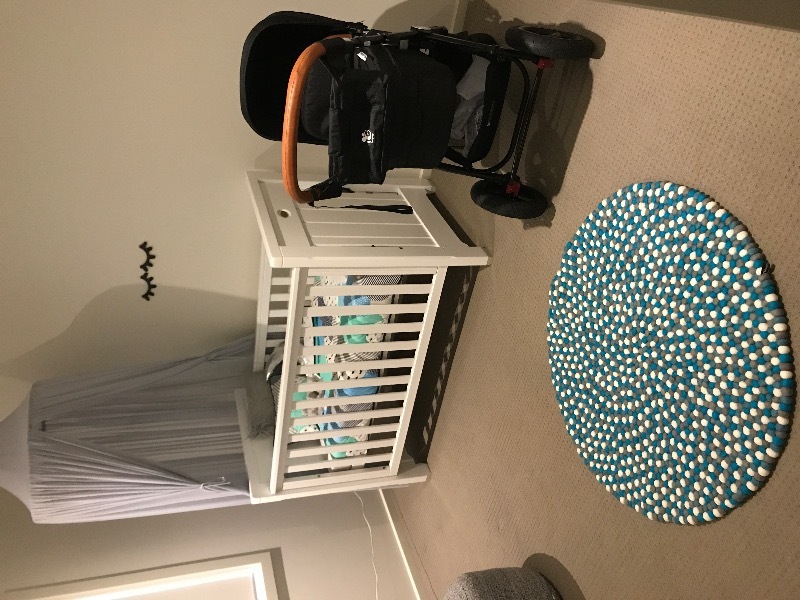 The rug fits perfectly in my boys nursery . It is comy to walk and play on . 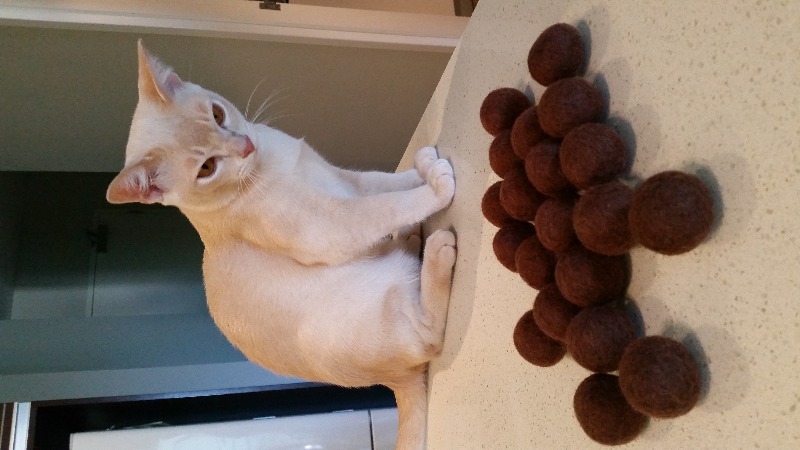 I purchased 1000 3cm balls for christmas gifts for cat rescue groups in Australia. 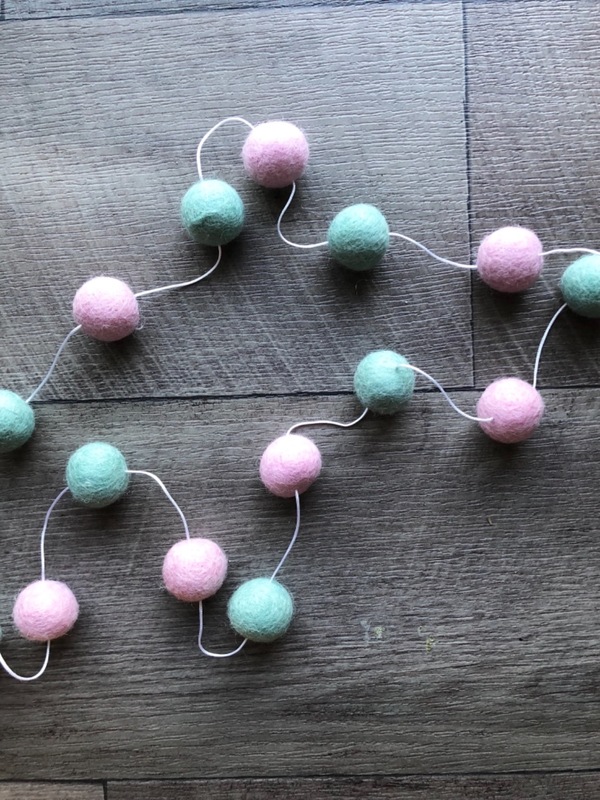 These balls are the best cat and kitten toys. Thanks so much! The balls are all uniform and really solid. The rug looks amazing. It has turned out exactly as I designed. My baby daughter loves sitting and rolling around on it as it is so soft. Thank you very much. 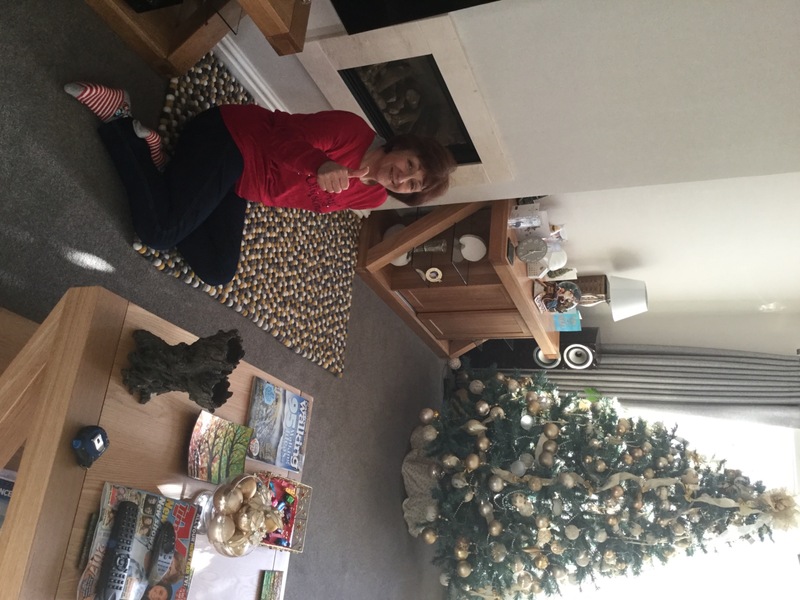 I have purchased a number of items including a custom rug and seat pads and have been very happy with the quality of product and speed within which the products were made and delivered. Customer service in response to my questions has also been great. 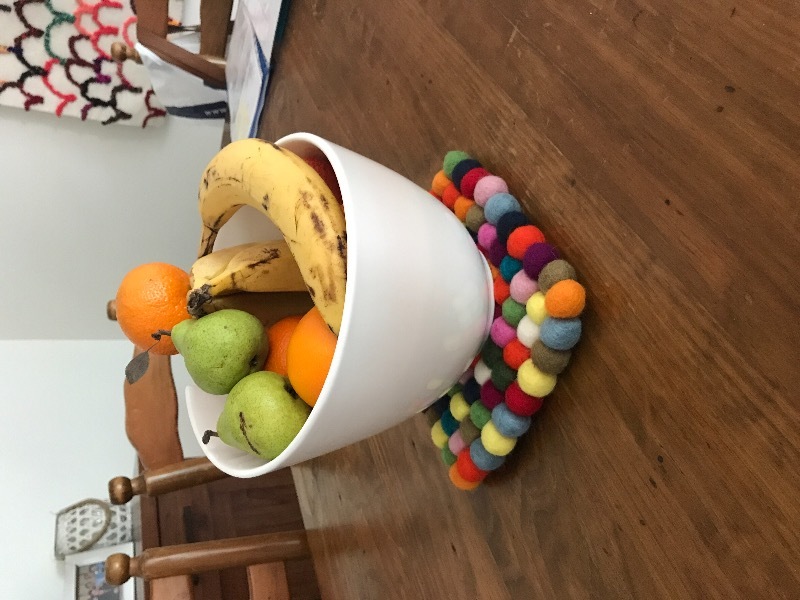 I love these trivets, they are exactly what I wanted to warm up a long table. They are too lovely to use as trivets, so I'm using them as decorations. We all love them, so thank you for making them look so pretty. 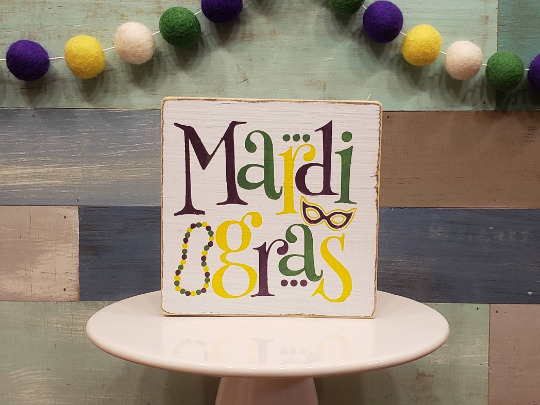 This rug is fun, creative and personalized. It's soft under the feet and well made. I would gladly recommend this product. Really nicely made; dense and uniform. Great, happy with the quality. Fabulous quality and speedy shipping, thank you! The quality is great and time of delivery was very fast. I will definitely be purchasing more. Fantastic! Easy website to navigate, super fast postage, great product! I will be back to purchase again. Thank you for our gorgeous custom rug. The quality of the rug, customer service and speed of delivery were all amazing. 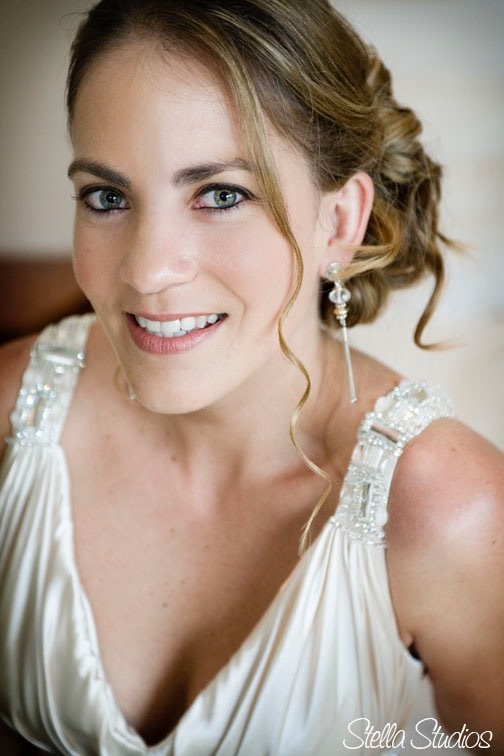 I am very happy with the whole experience: fantastic service (thank you so much for you help! ), quick delivery and excellent product. 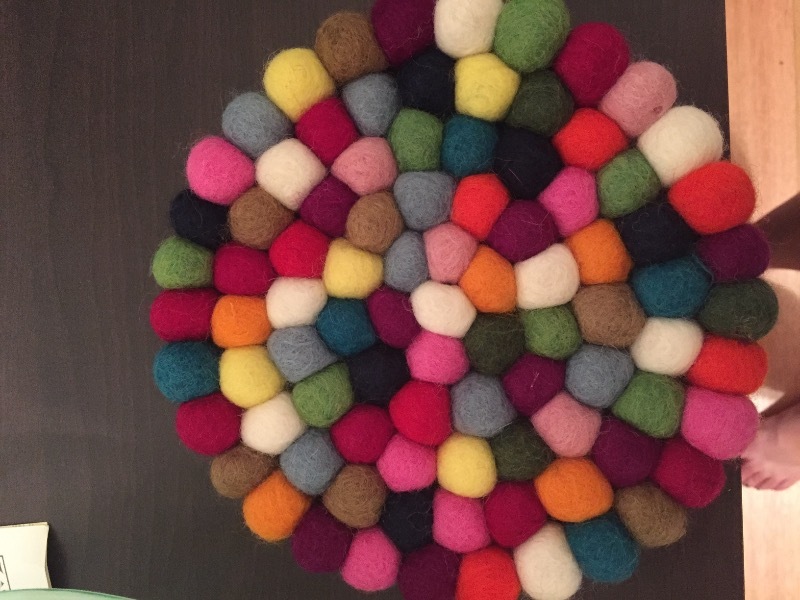 Beautiful quality and materials used to make this custom felt ball rug! Excellent service and fast delivery. Looks perfect in my sons room. Beautifully crafted item. I love them! The mat looks great. Nice colours and feels warm and soft under foot. Loved working with them and pleased with my results. The rug is beautiful and soft. My daughter will love it when she arrives. Love it! Colour was perfect and it feels so lovely. 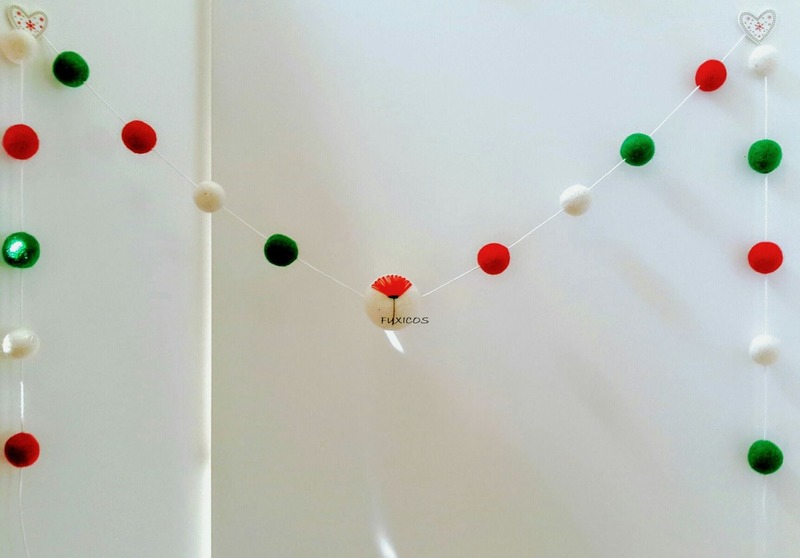 Perfect addition to our nursery. Quick and efficient. Meets the description perfectly. Thank you Sanju, I am very happy with my two white rugs. They will look perfect in my home. 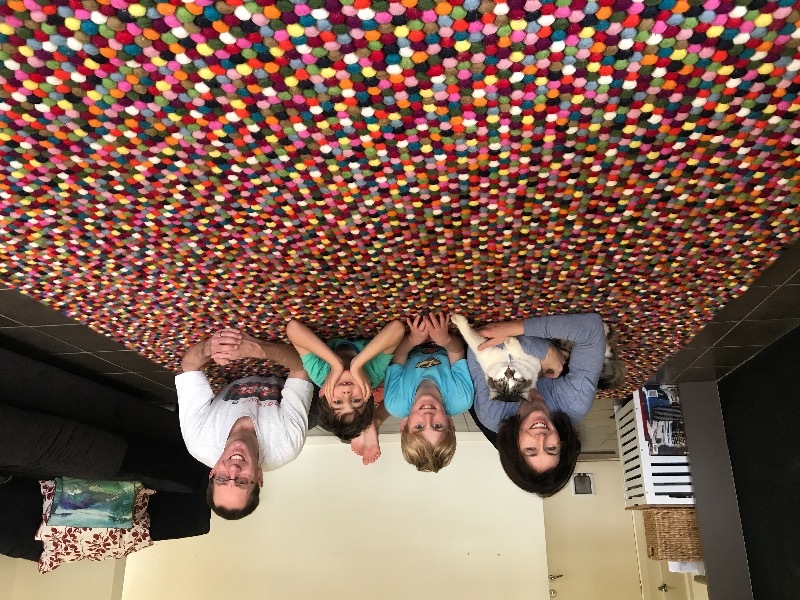 Thank you to the team at Felt Ball Rug Australia for a very easy transaction. The service and overall customer experience was excellent. The quality of the rug and matching coasters is outstanding. 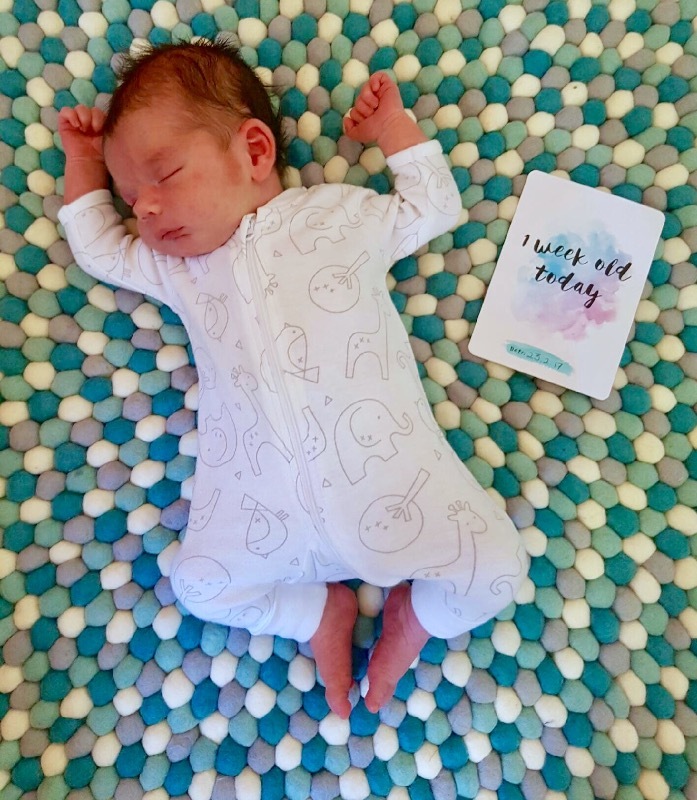 We are delighted we chose this product and so happy it could be shipped all the way to Ireland so effortlessly (for us). 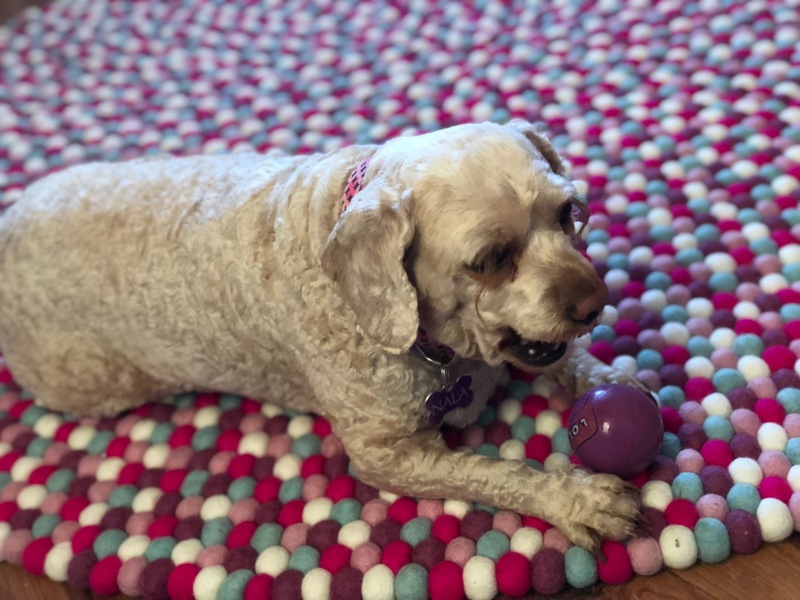 I highly recommend the team at Felt Ball Rug without hesitation. 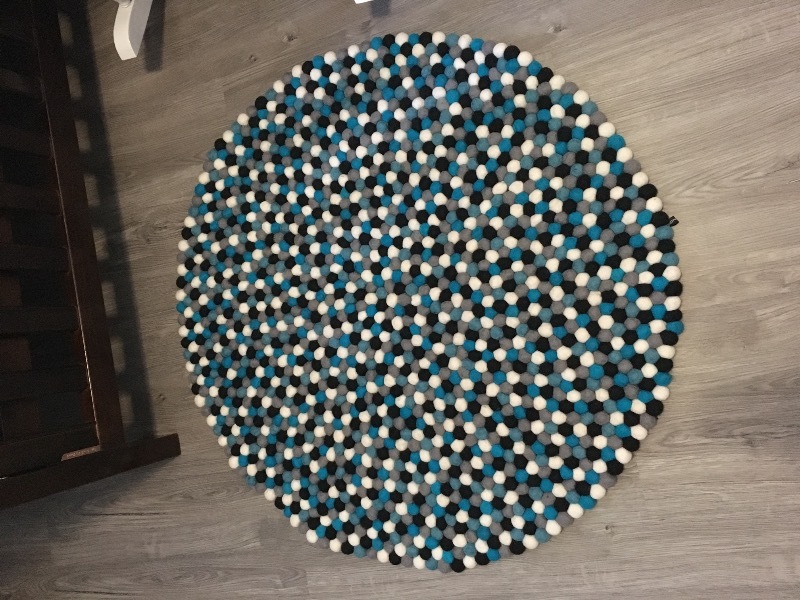 This rug is just the perfect finish piece for my unborn sons bedroom, I just can't express how happy I am with the finish product! 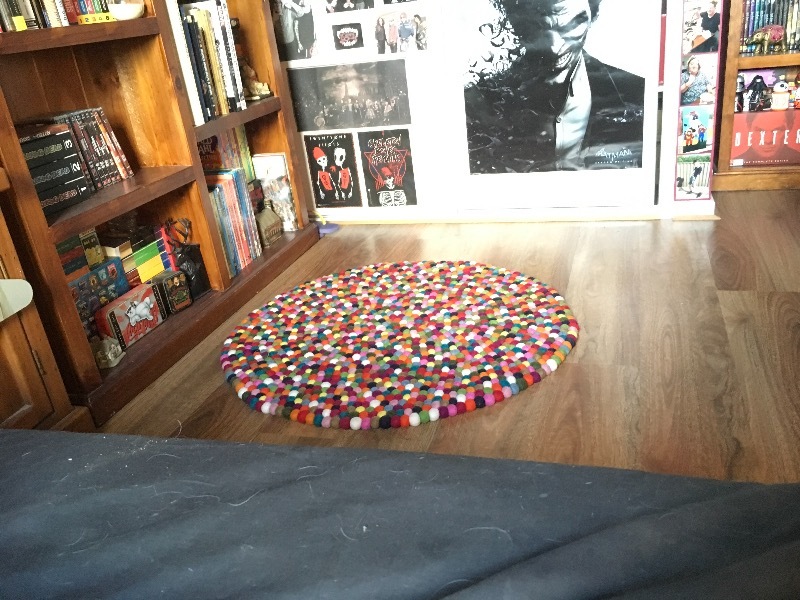 The rug was made and delivered to me quickly, I was impressed. Looks great, feels like a high quality rug. Fantastic experience - arrived quickly and colours so vibrant. 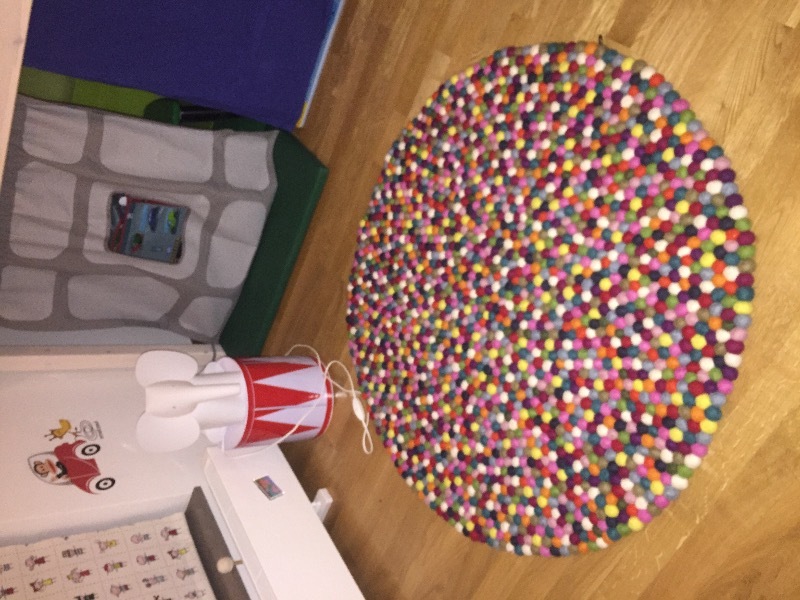 Ordered large 140cm rug with colours and price of chart refunded. Great experience! Love the feel, colors and quality. 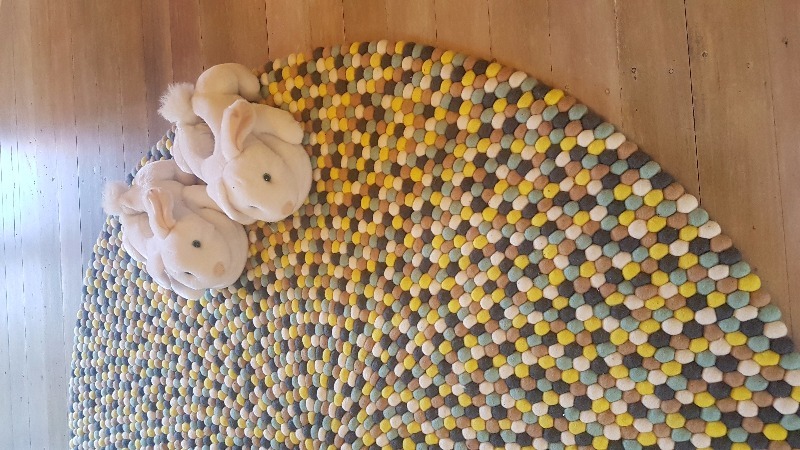 Great rug my toddler adores. 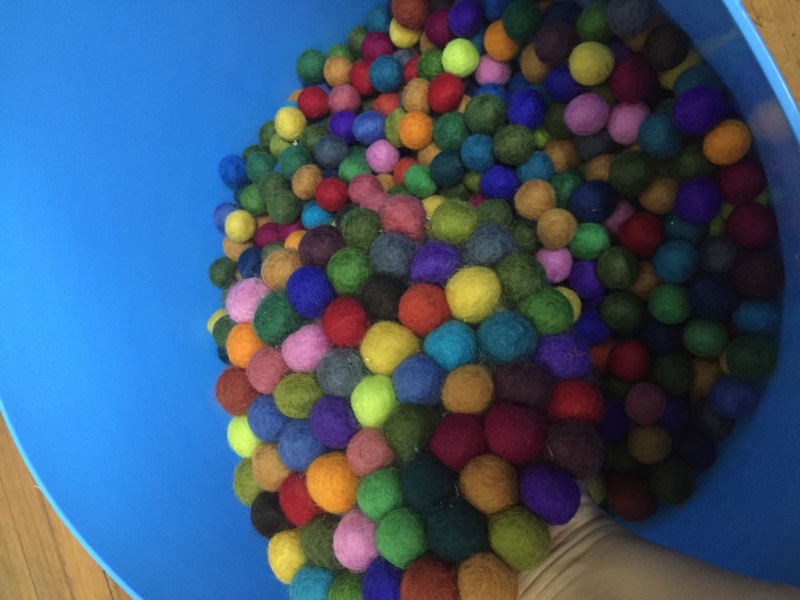 The felt balls are in great quality. Thank you! 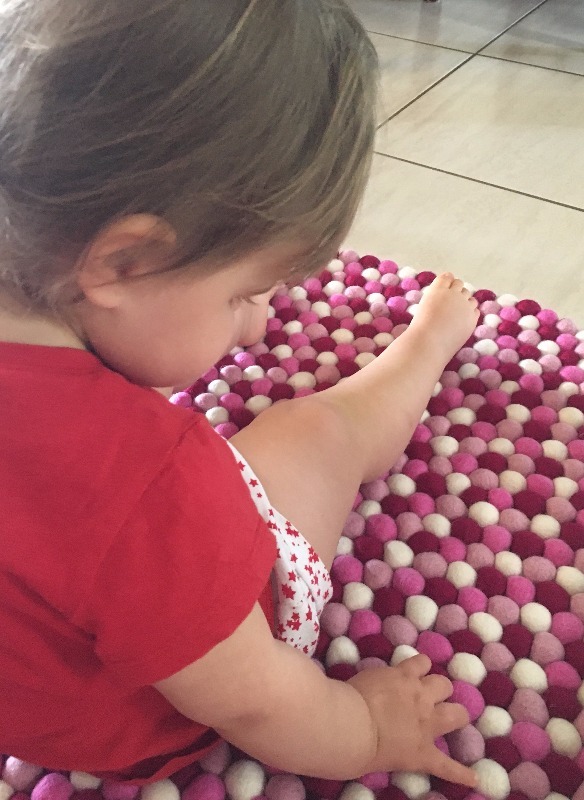 The felt ball rug was bought for my daughter who has various disabilities. It's warm, the texture is silky, the bright colours are very cheerful. 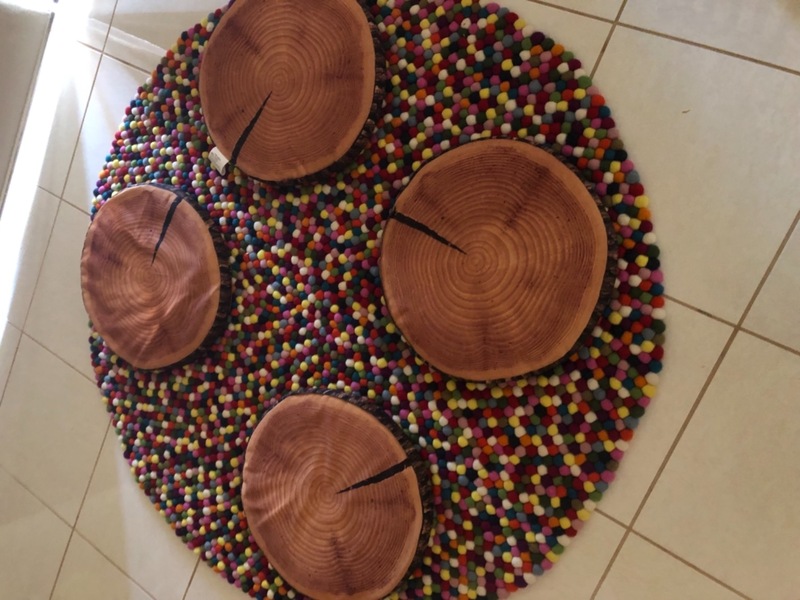 It makes a lovely floor piece for her teepee and it's quite mesmerising to touch and look at. 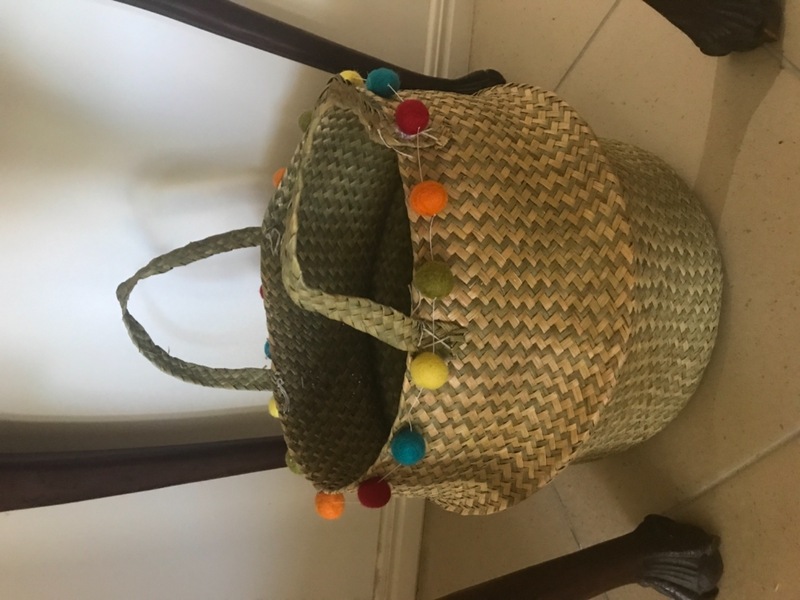 Beautifully made - I loved it - probably the best covering for what we needed. Aesthetically fun and charming but not in the least childish in design. I brought this mat for my daughters nursery and it's beautiful. People always comment on it and ask where I got it from. 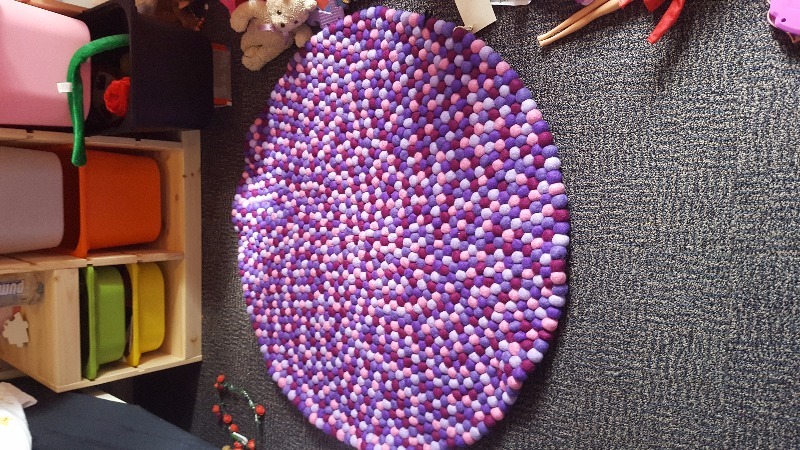 Amazingly made and my daughter loves to lay on it. Thankyou so much Nirmala for producing such a wonderful rug. 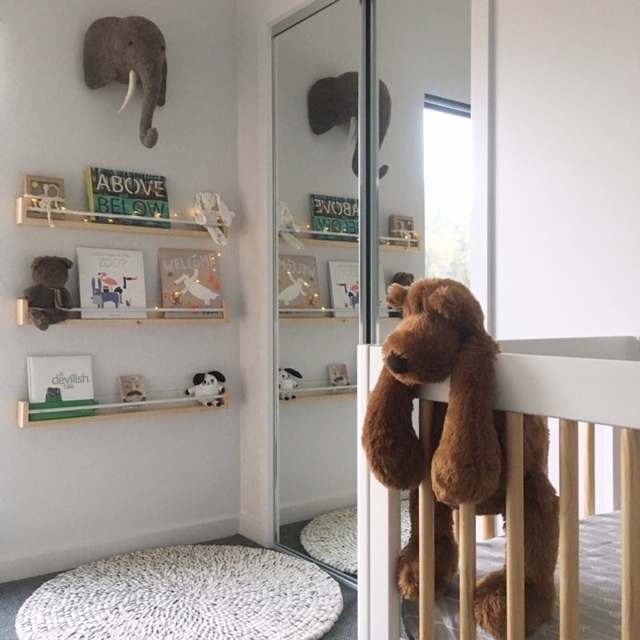 It goes brilliantly in our new nursery for George and we know he will love it as much as we do! It is so soft to walk on and we are extremely grateful for the work you have done. Great work, really happy with it, my daughter loves it. Please, pass on thank you to the artisan. Beautiful rug. I love it, my only concern was a few maybe 12 or so felt balls has little black marks/dots on them. Good. Item as described all sample colours included. They are so beautiful and the perfect gift for my mother in law. Made very well and from goo quality products. Quick delivery and beautiful, well-made rug. 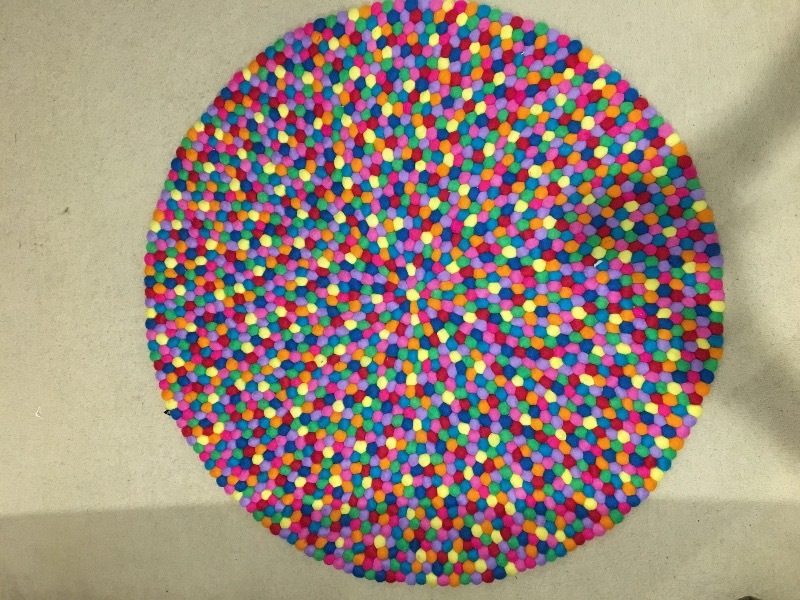 I bought a multicoloured rug for my daughter for her first birthday. I wanted something special that she could keep forever. I am so thrilled with the rug. It is perfect and looks wonderful in her room. It is so beautifully made. Thank you so much! Amazing! Even better than expected! Fantastic experience. We love ourvrug Gyanu. Thanks so much! Thank you so much for a beautiful product and excellent customer service! 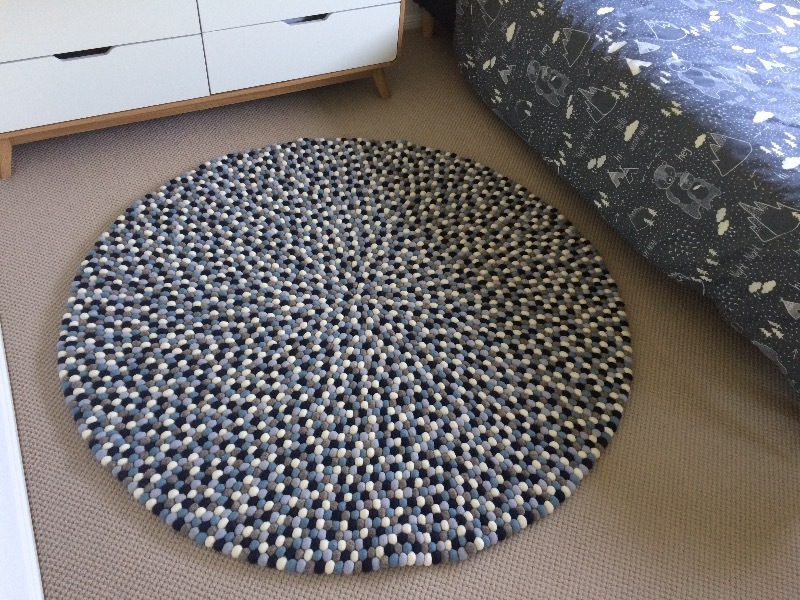 Our rug arrived not long after ordering and was even better than we expected. The colours are true to the colour chart and the rug is soft and nice to walk on. Would definitely recommend!! The rug is very nice! Great quality! Everyone in my family love it! 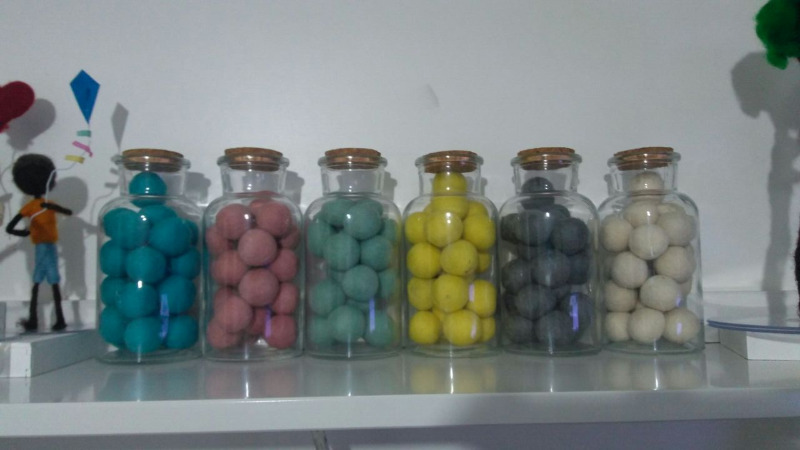 I recently purchased the bulk feltballs and not only could I pick my colours but it was shipped straight away and arrived well packaged. 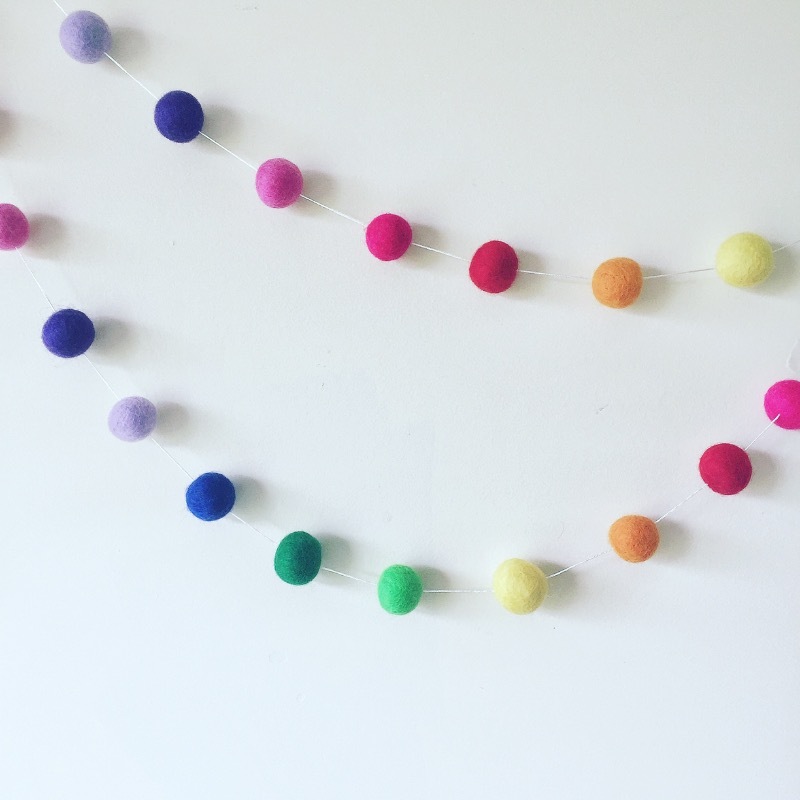 The felt balls are good too! 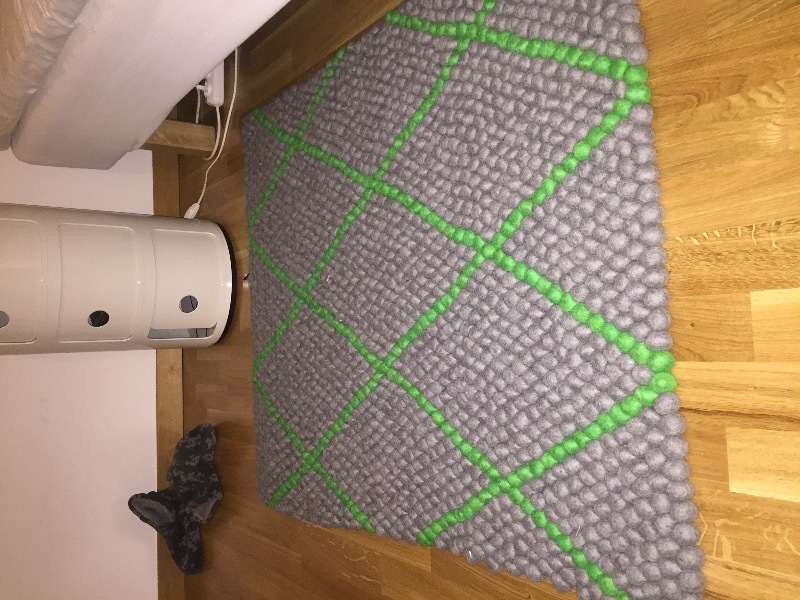 the rug is so beautiful and soft, such fantastic work by Januka, thank you so much! Really beautiful rug, thank you so much! 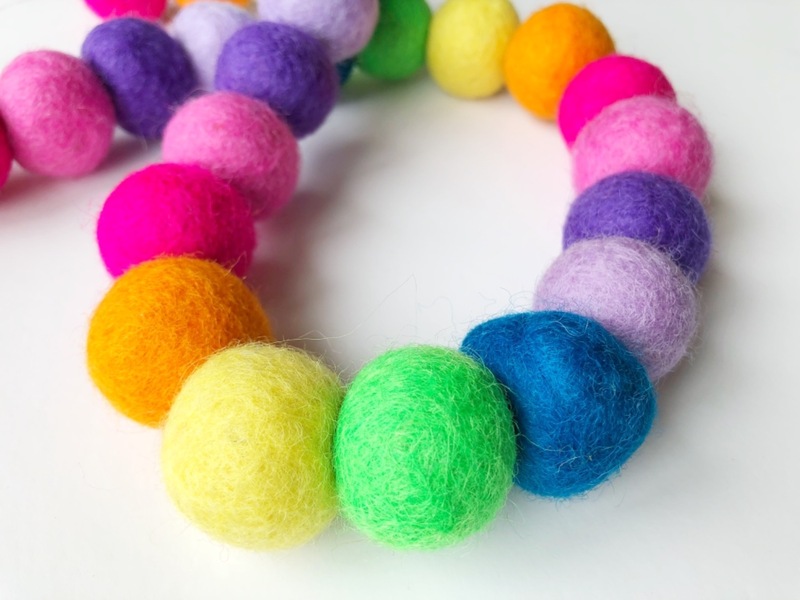 The colours are fabulous and the felt balls are just the right size. 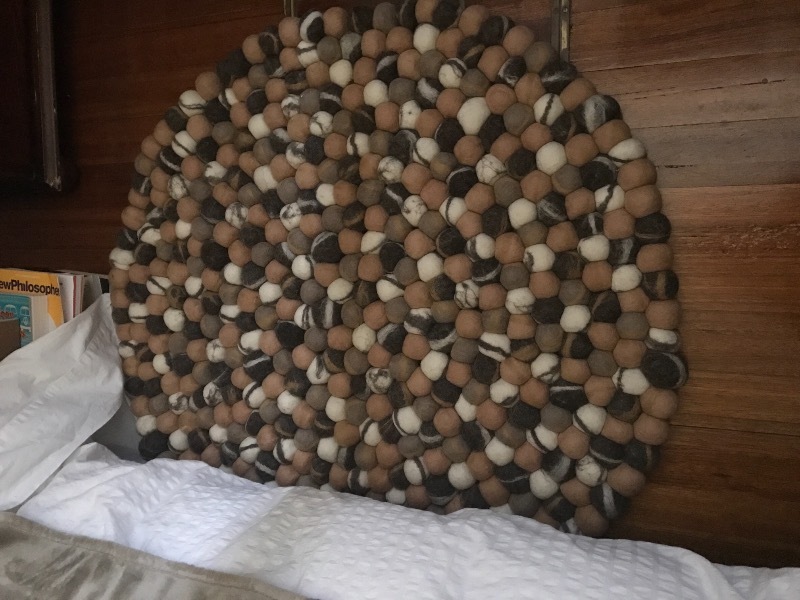 I've seen a couple of other felt ball rugs in stores but they are nowhere near the quality of this one, and not as beautiful. Very happy with these products, and very fast efficient postage. 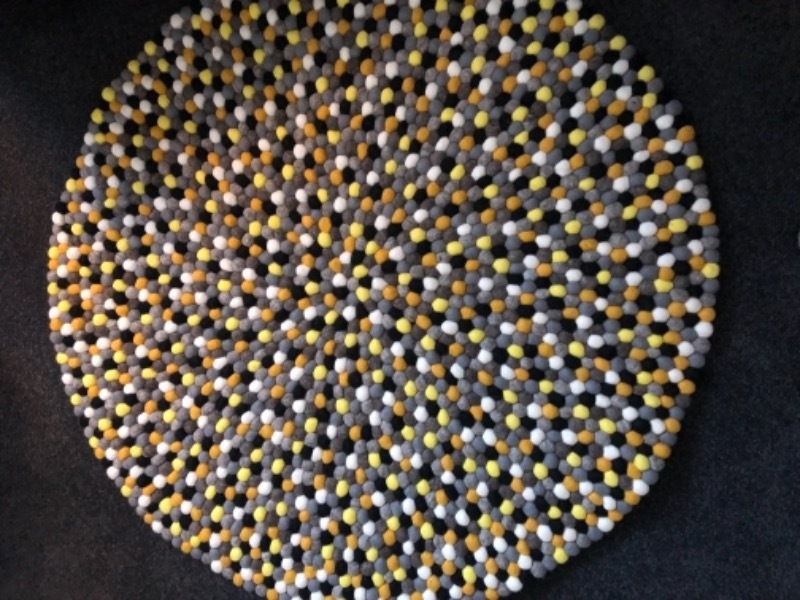 We love our new felt ball rug; it's very well done. I have also appreciated the service and the follow-up. Great job! Amazing! Such a feature in our living room. Beautiful quality and such a feature in the Living space. The colours are gorgeous and so easy to keep clean. I love my rug. My 10 year old daughter loves her new rug for her bedroom. Thank you very much for such lovely work, we are very happy! Beautiful quality, reasonable pricing super quick postage! Great! 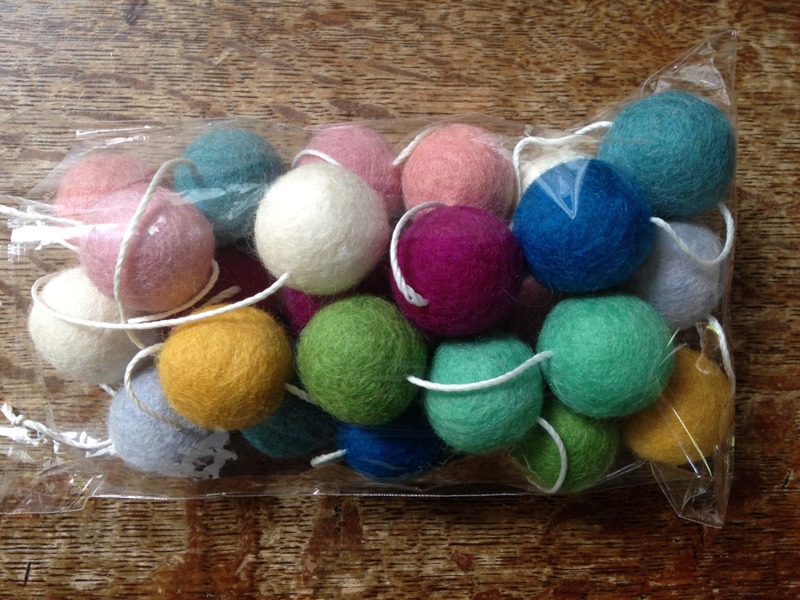 The felt balls are a lovely quality very consistent in size shape. The colours are stunning I'm so excited to see what else I can create with them. Beautiful quality, reasonable pricing & super quick postage! Great! 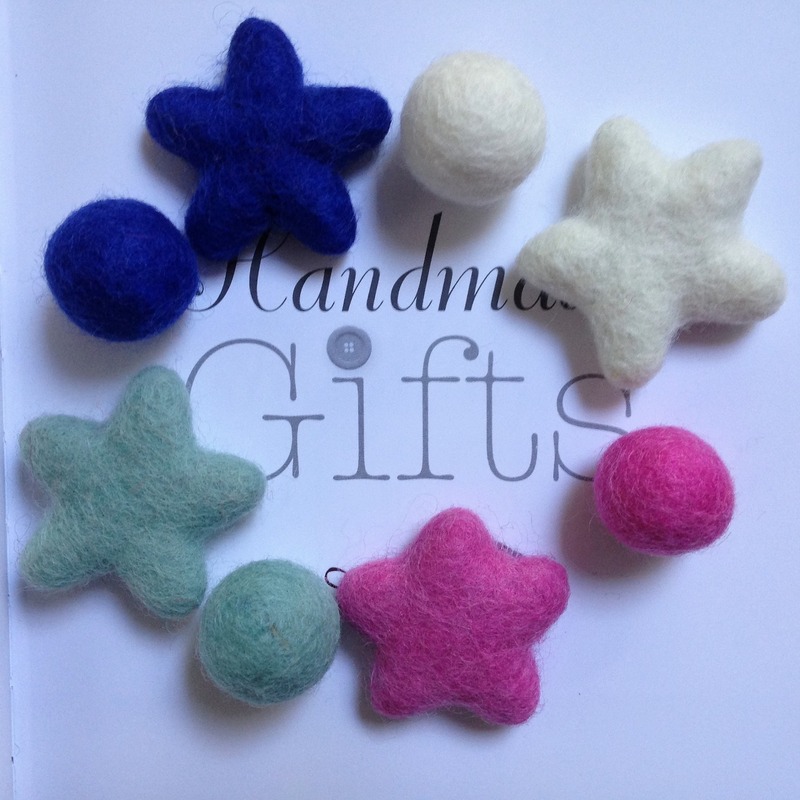 The felt balls are a lovely quality & very consistent in size & shape. The colours are stunning & I'm so excited to see what else I can create with them. beautiful quality products, thank you! 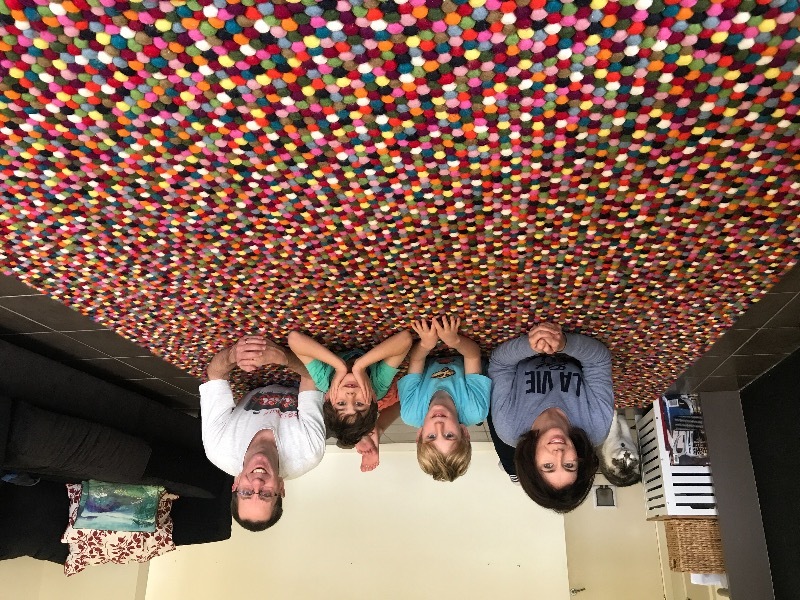 Our whole family loves our stunning new rug. I only wish we had more floor space to purchase a few more. Thank you! Thank you for your terrific work, such a beautiful job. It looks great in my sons room! Perfect size and he loves playing on it with his toy cars and trucks !! A purchase I immensely appreciate long before its arrival. Swift and on time delivery. The rug is a piece of craft I hope to hold long and dear. The colours are as seen on screen and the sizes as expected. 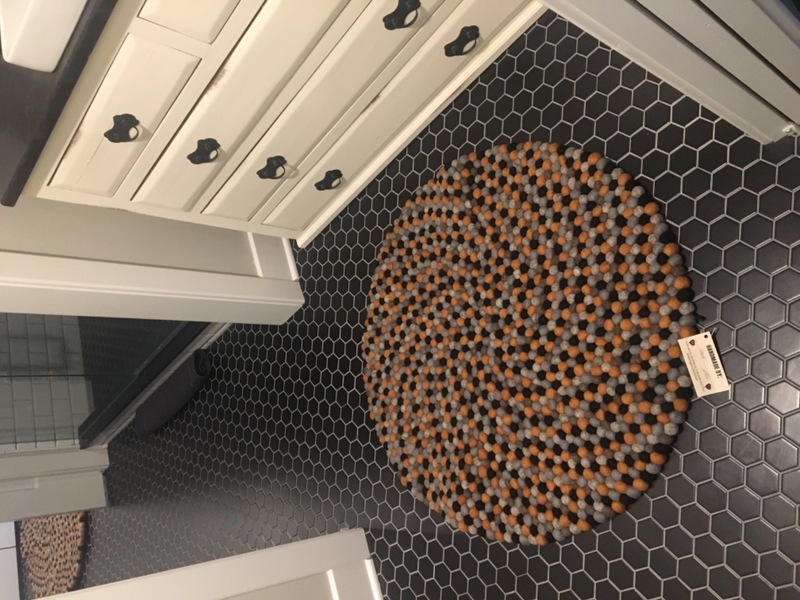 I purchased a custom rug for a nursery. When I had a couple of questions about the colours, my questions were answered very quickly. 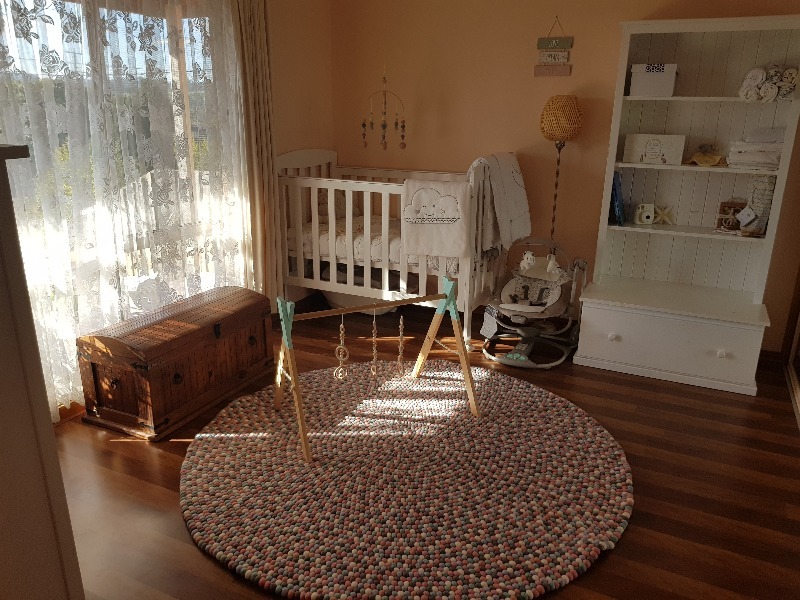 I love the rug and I know it will look lovely in the nursery and it looks very well made - hopefully it lasts a long time. 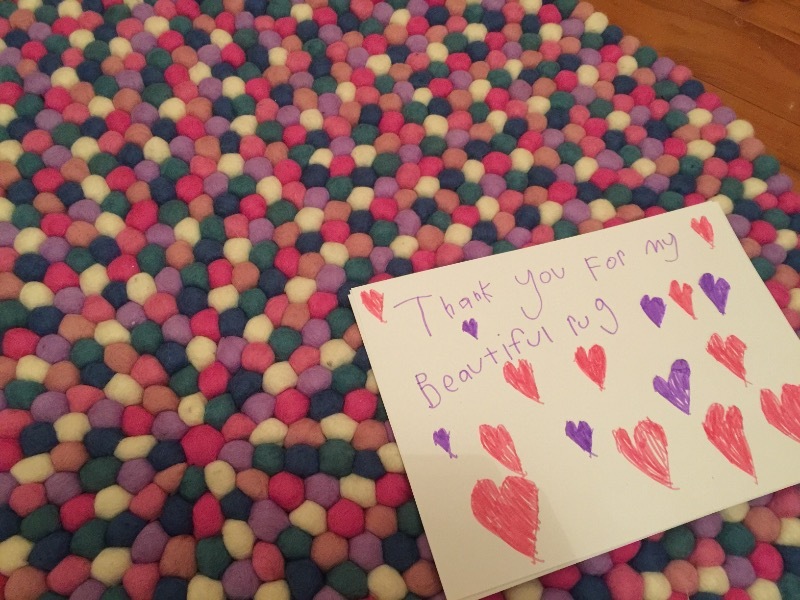 THANKYOU for my granddaughters amazing rug! Licorice all sort it was named! She loves it and so does her new baby brother by the look of it! It is sooooo nice! Cute and well made! I'll recommend to all my friends who needs new rug! Felt all coasters - Wonderful! Just superb! Pretty much sums it all up. Excellent quality and very efficient! Fantastic! The quality of the rug is outstanding and the efficiency in which we received it was excellent. Thank you. I ordered a custom made pink and white rug for my baby daughter's nursery. We love it!!! 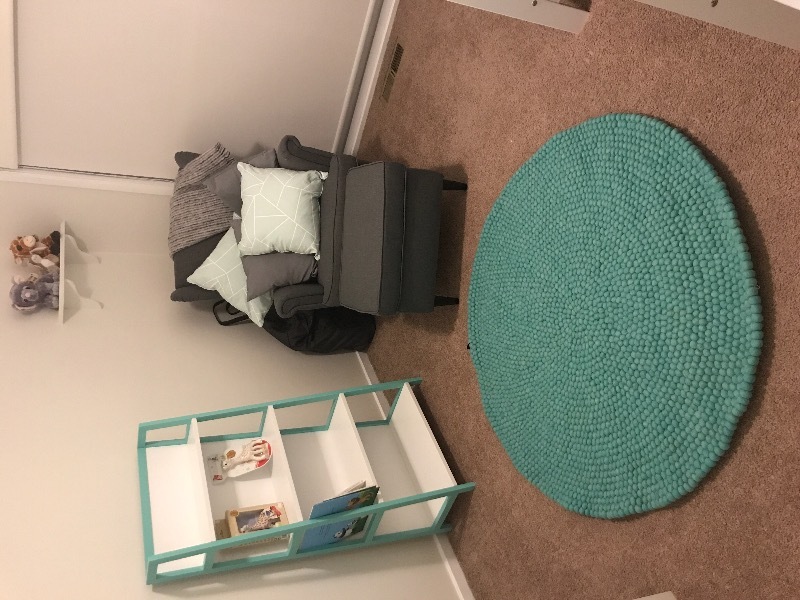 Thank you for your beautiful work - the rug is perfect for our daughter's nursery. These coasters are great! They’d be 5 stars except the little bits of thread that tie the balls together weren't cut down far enough, so we had to do that ourselves. But they’re awesome otherwise! 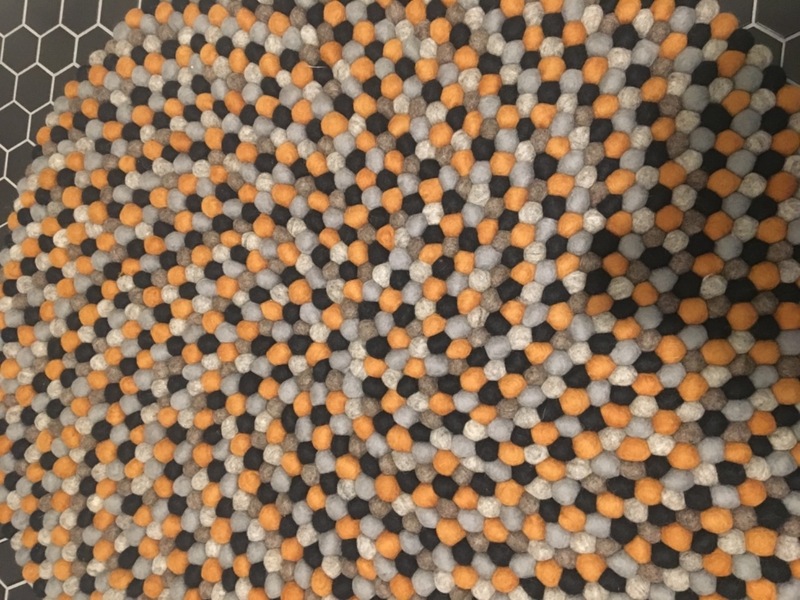 I designed my own rug and it turned out even better than I could imagine. It was beautifully made and I thank my artist, Januka. 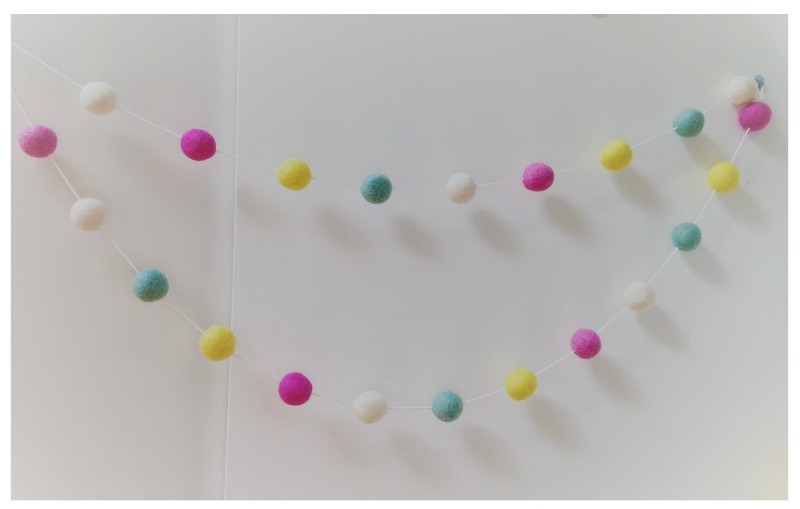 Purchased this for a baby shower, it truly makes the nursery and Laura absolutely loves it! The company communicates well and the item I had delivered straight to Laura's work within a couple of days. The item itself is flawless. 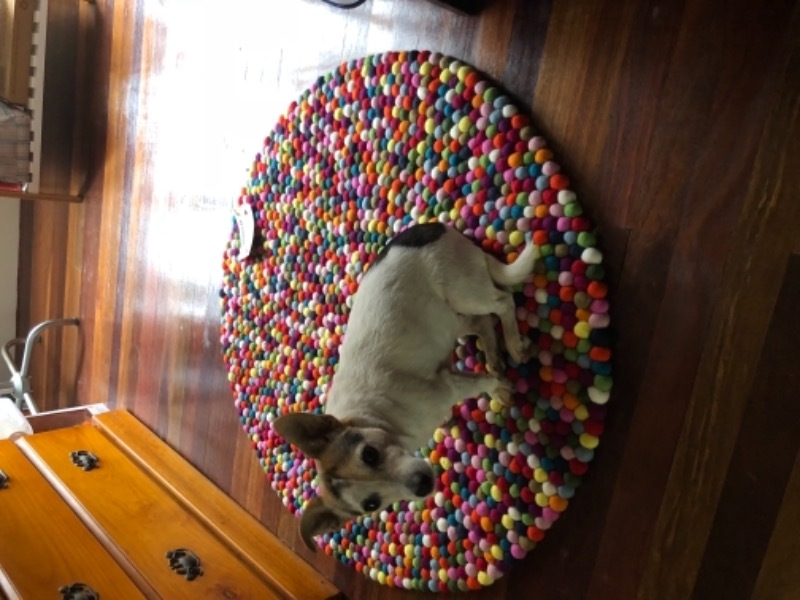 Thank you Felt Ball Rug Australia, will definitely be ordering more! Regard, Gemma. 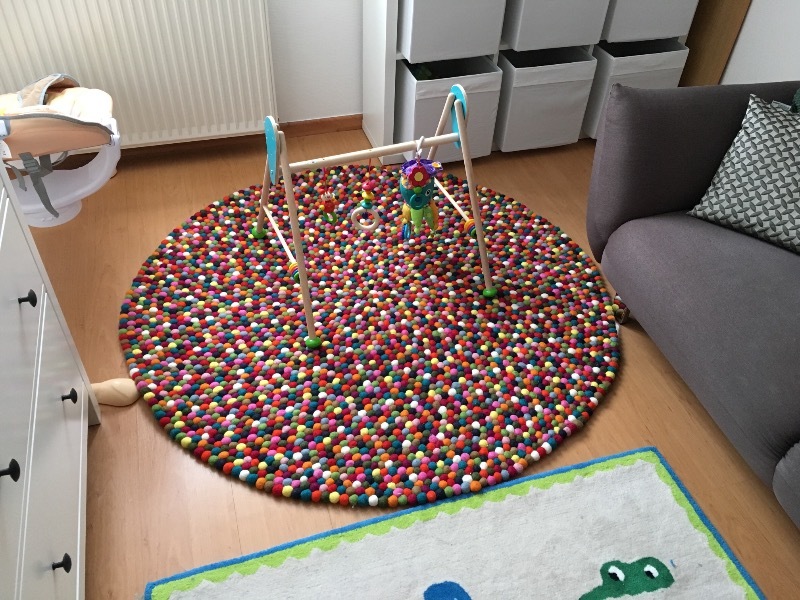 Thanks for such a beautiful rug.I am really happy with the quality and the great colours. 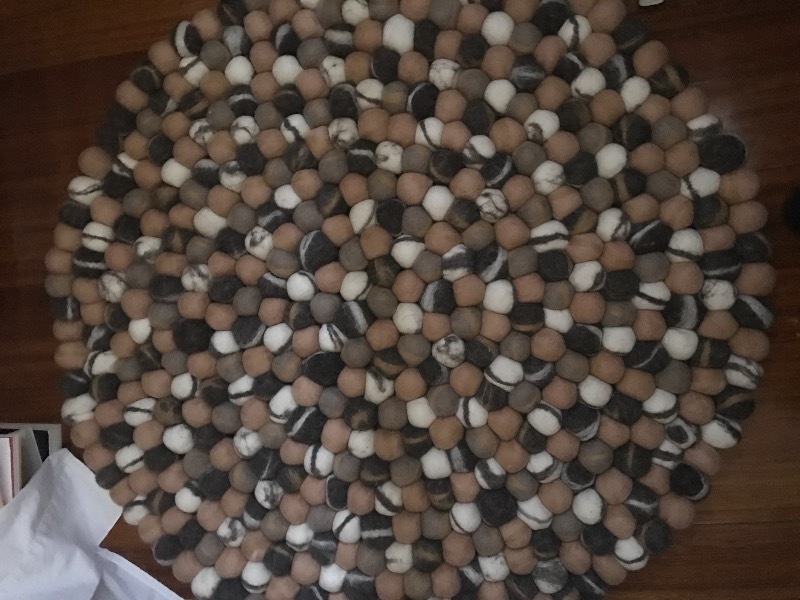 I ordered the rug and it was delivered to me in 2 weeks. The service and prompt delivery and tracking was exceptional. 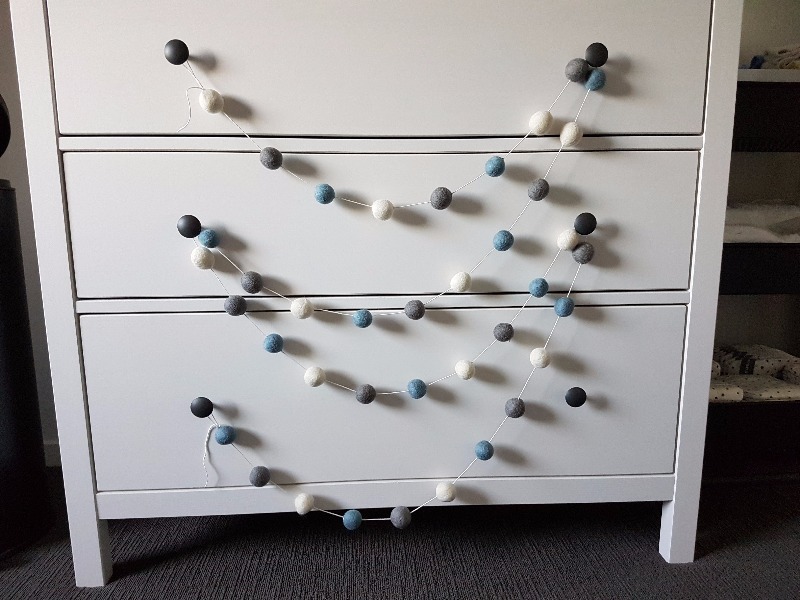 I ordered the colour chart and was able to match the colours to the nursery which I am now just putting together. Thanks so much!! Lovely work. 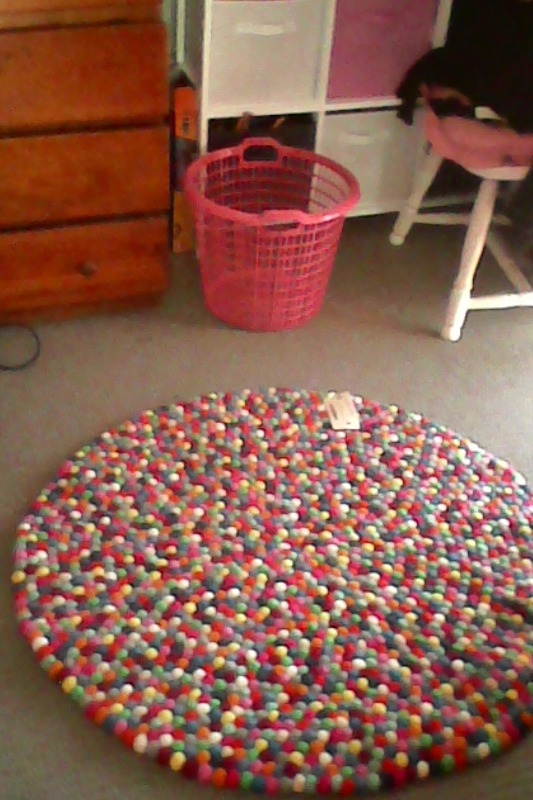 Rug very sturdy and strong which was surprising to me considering it's made from felt balls. I bought a few of them and share with my friends. They are so cute and we love them very much. 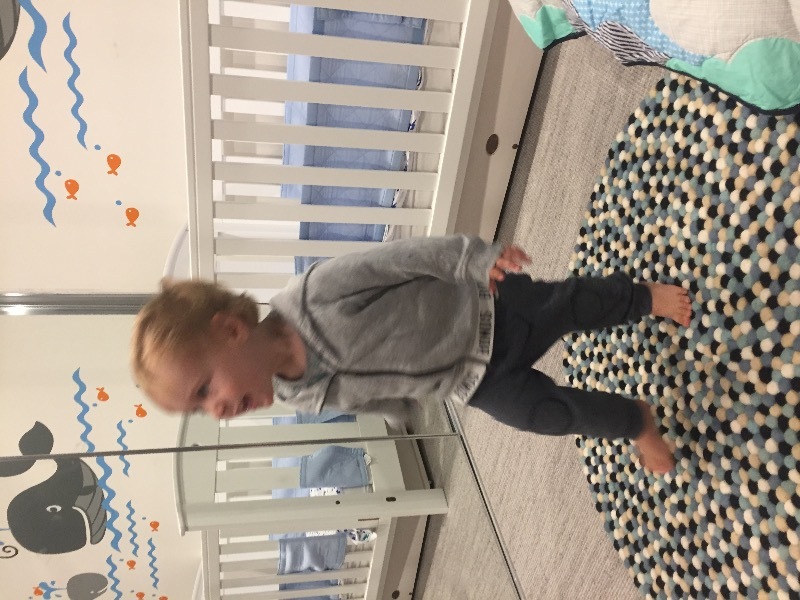 I bought this rug for my son's room and he loves it. It brightens up the room and gives it warmth. The colours match his room perfectly. 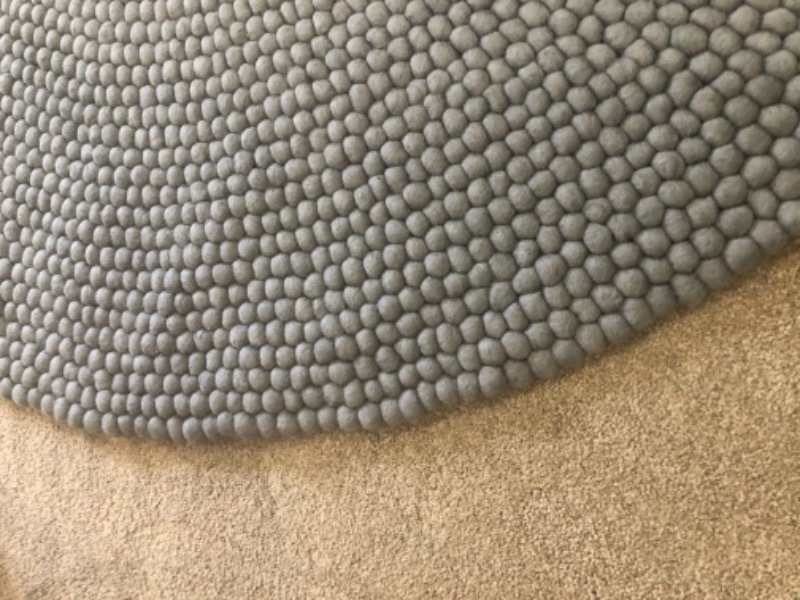 This is our second Felt Ball Rug and we love them both. Also impressed with the service and speed of delivery. 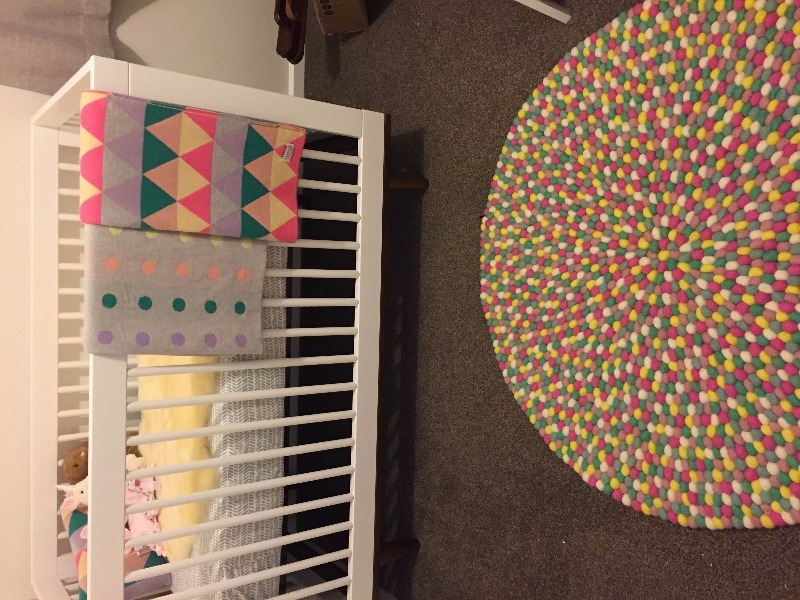 THANKYOU THANKYOU for this amazing rug, this was a replacement and has bought the nursery together! Looks and feels amazing and the workmanship is high quality! I love it!!! My rug has added the perfect final touch to my son's bedroom. I love it!! Beautiful and exactly as depicted in the picture. Great quality too! Excellent quality, feel and colours. Good price and efficient delivery. I just love these trivets! They are so colorful and beautiful. 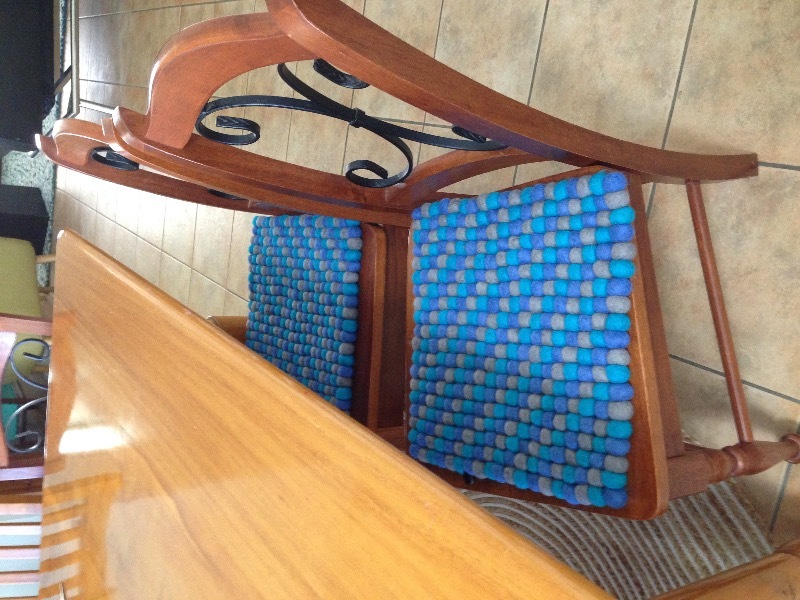 Great craftsmanship, they will clearly hold up to lots of use! 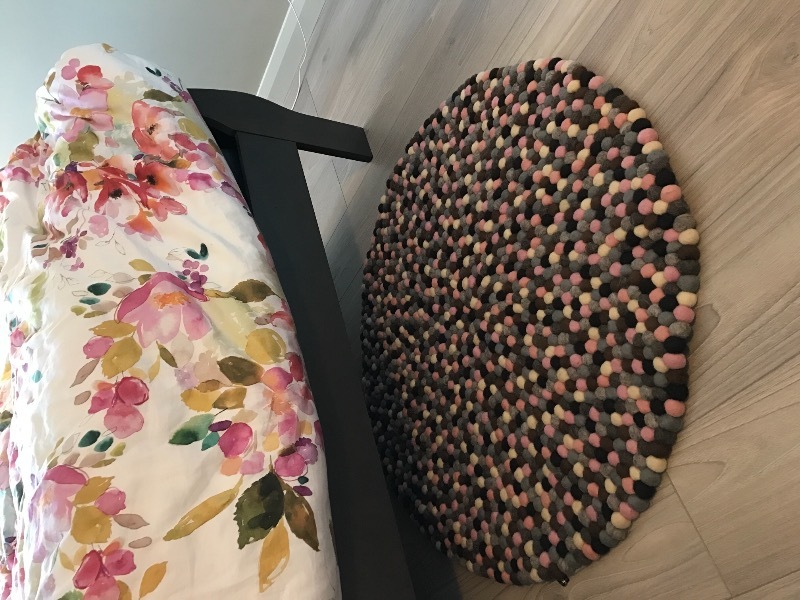 Before I get into the nitty gritty of this review, let me say how beautiful this rug is and how vibrant the colours are, much nicer than on the website. Thank you gorgeous artisan! This purchase was an easy, no fuss, professional transaction with fast delivery from Nepal. A bucket load of positive recommendations from this happy customer. 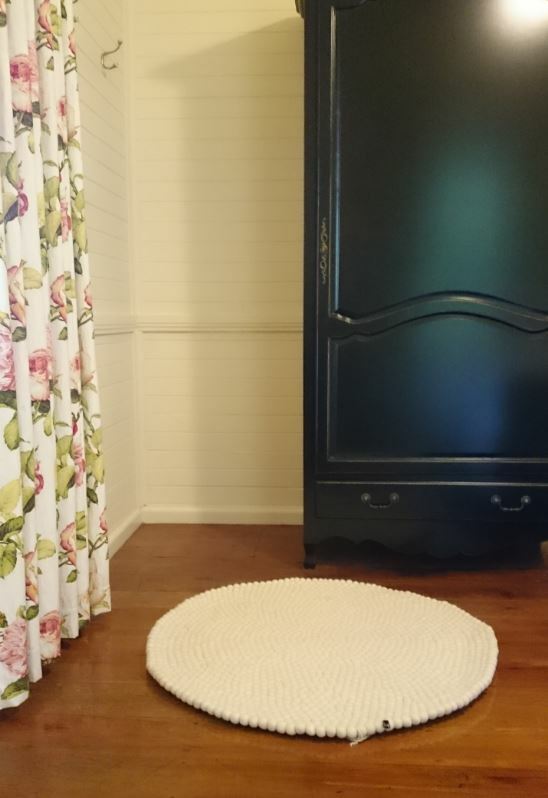 Great rug, quick turnaround too. Thank you! The rug is beautifully crafted and nice and soft. My daughter loves it. We love our rug! Amazing customer service and very personalised. I'd recommend without hesitation! Love these guys they are super helpful and the product quality is awesome. Fantastic, can't fault the experience at all. Was exactly what I ordered and received the order in due time. Just perfect- not to baby-ish! Unbelievably quick delivery and the rug is exactly as shown in photos. It's lovely for my baby girls room but it's also something that she will be able to have as she grows. Also feels absolutely gorgeous under foot. Great price and excellent an product. I am using them with children and teenagers that come to me for counselling. 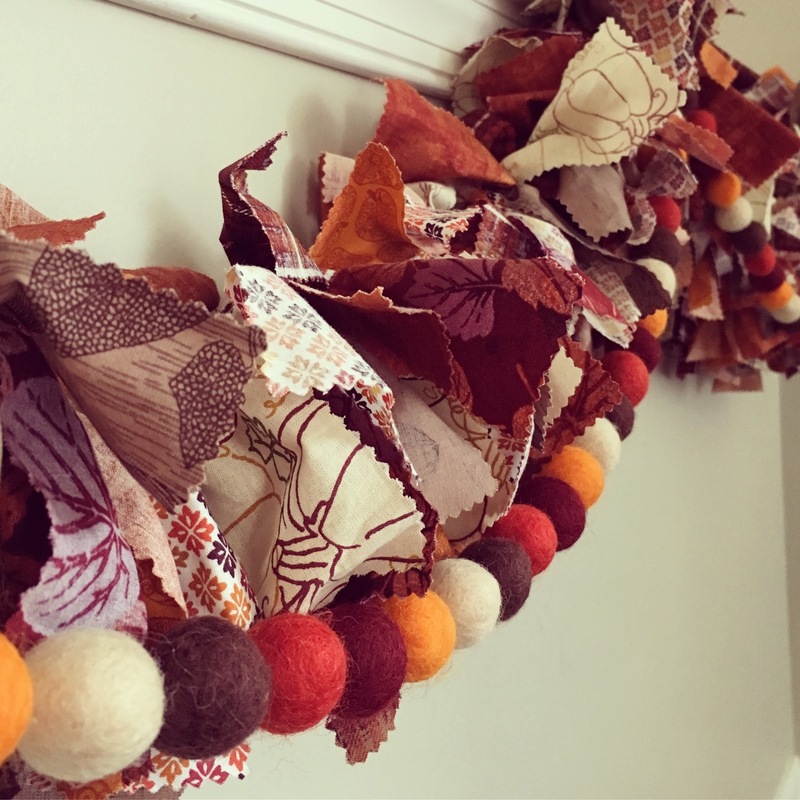 I am also recovering from a big illness and making garlands for friends and family. I will be buying more. 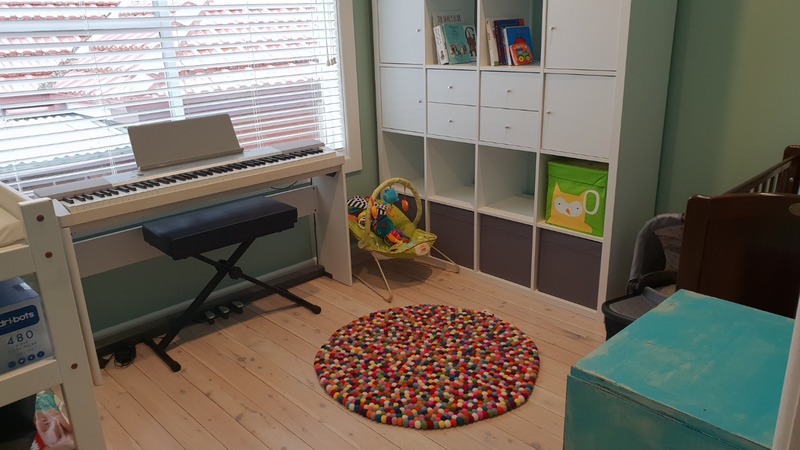 From choosing the colours and designing the rug your website made that process easy, when it arrived it was better than expected, absolutely beautifully made THANKYOU I can't wait for my grandson to arrive to sky him on his rug especially designed for him! Exceptional service and quality. Rug looks fantastic and order was completed faster than ever imagined. 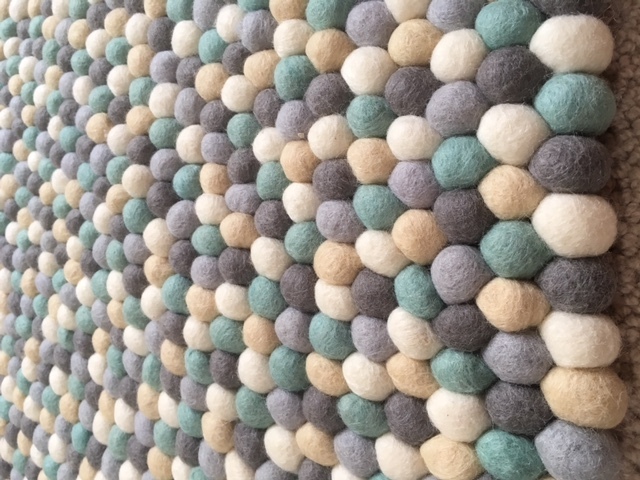 I purchased the mint rug and it is of fantastic quality. The colours are beautiful and the craftsmanship is incredible. Thanks so much, I love it!! Fantastic, we absolutely love it! I love this rug! Even better than I had imagined. I was surprised to feel how soft it is under your feet. Only negative is.....I wish I could afford a bigger one! Great product! Received quickly once shipped. I would definitely order from here again. thank you! Easy to order, quick delivery and impeccable work...very happy. Do yourself a favour! Beautifully made, will definitely be purchasing more. Such a great company! Beautiful product!! Such lovely colours fast postage and great customer service. This is the second one of these we've bought. Very happy with it. Thank you. 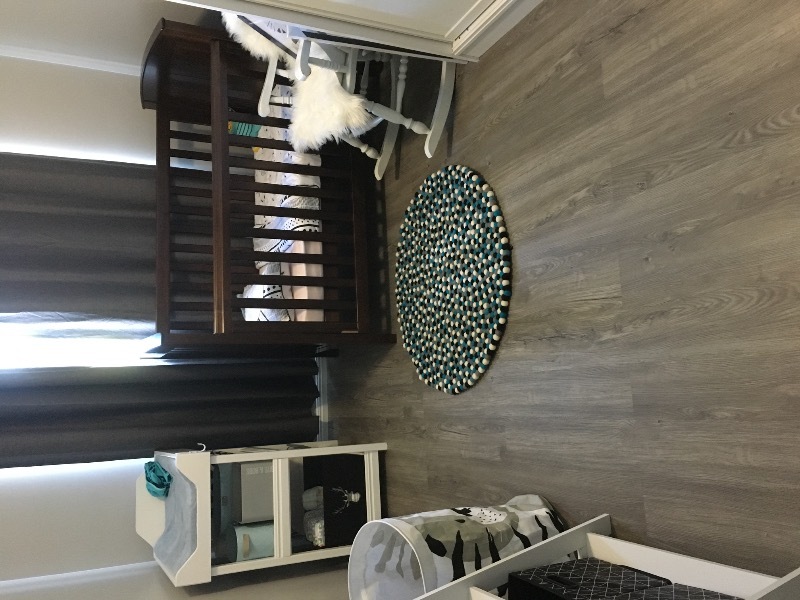 Baby calli's rug looks gorgeous in his room. I know we are going to have many great memories and photos with this beautiful piece that was made especially for him! 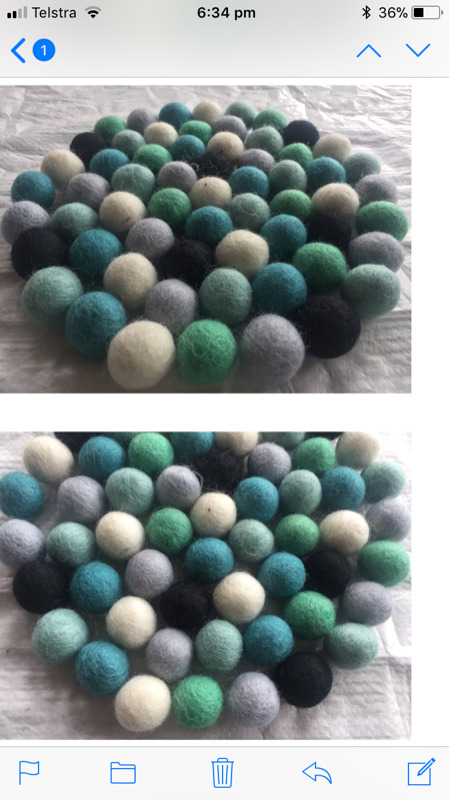 Delighted with my custom colour felt ball rug! It fits in beautifully in my newly decorated lounge, and it arrived in time to display it at Christmas. A great job, well done and thank you! I love the feltballs. 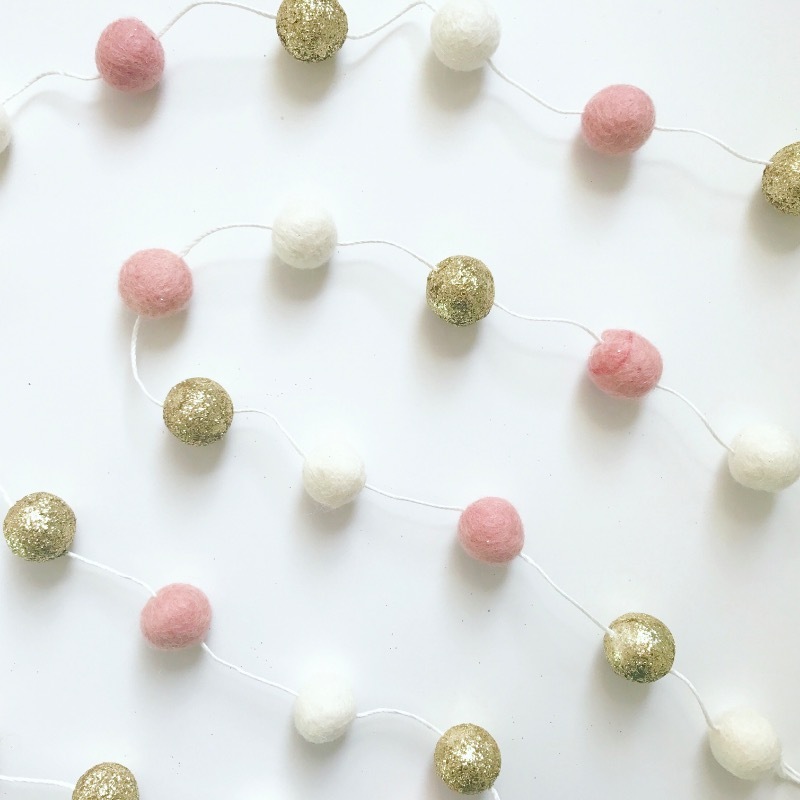 They feel lovely, are easy to thread and the colours are fantastic. 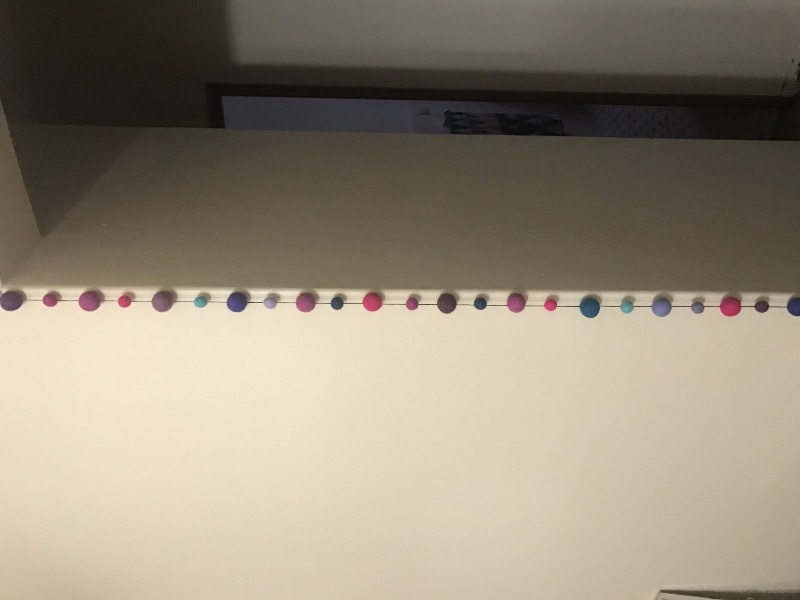 My 7 year old daughter made colourful garlands to hang in her bedroom. Perfect. The rug is gorgeous! Thank you. Love them! Exactly what I was after and they look beautiful! 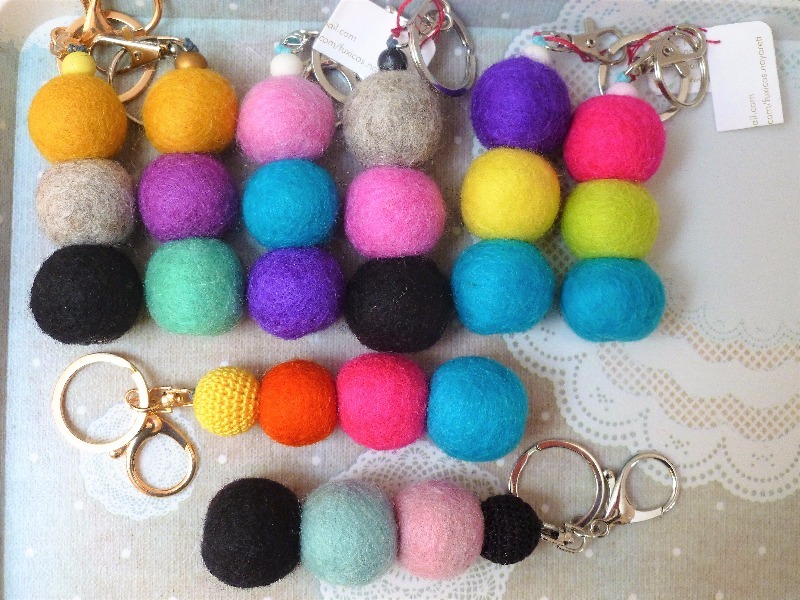 the 3 cm balls are amazing, they will be used a cat and kitten toys for animal recue groups in Australia. I will be ordering more in the new year. 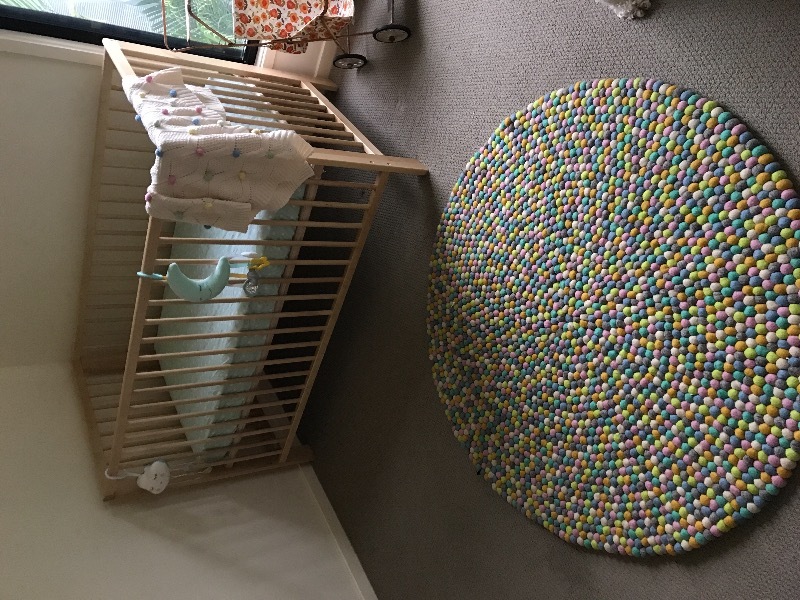 I received our rug for our bubs nursery a couple of days ago! The quality is fantastic and the attention of detail is beautiful! We are currently building our new home and I can not wait to get in to set up the nursery! 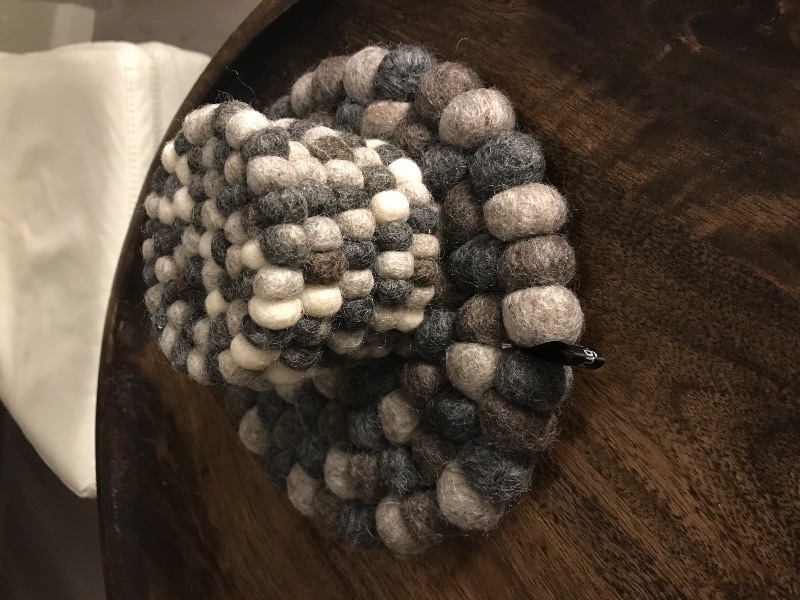 My felt rug that I custom designed will match perfectly and a real statement piece! 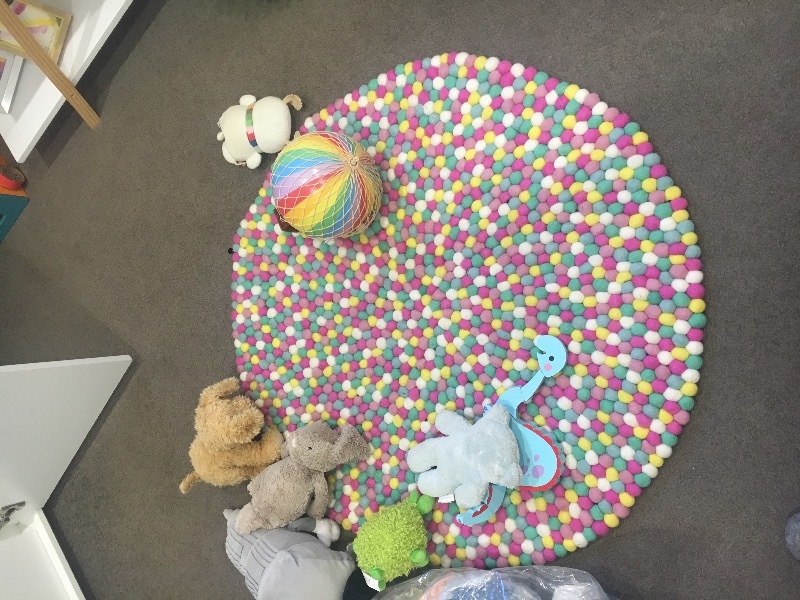 Thanks Felt Ball Rug Australia, very pleased customer here!! 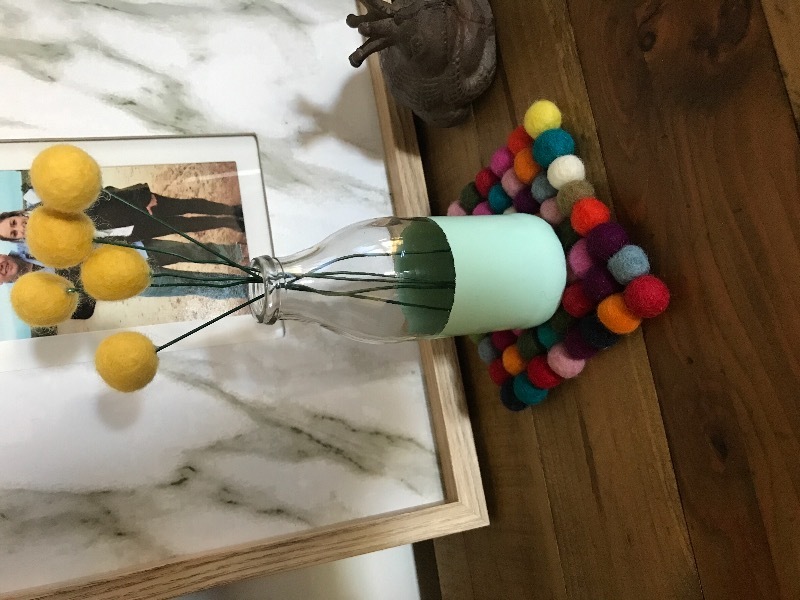 Great products - so bright and cheerful, love them. Even more gorgeous than I was expecting! 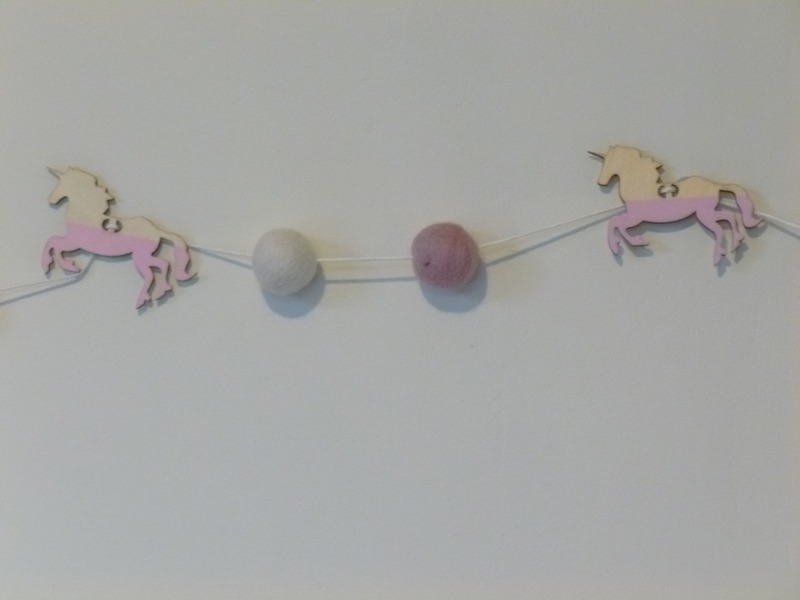 Beautiful handiwork and added a much needed pop of colour to a little girl's nursery. Thank you! 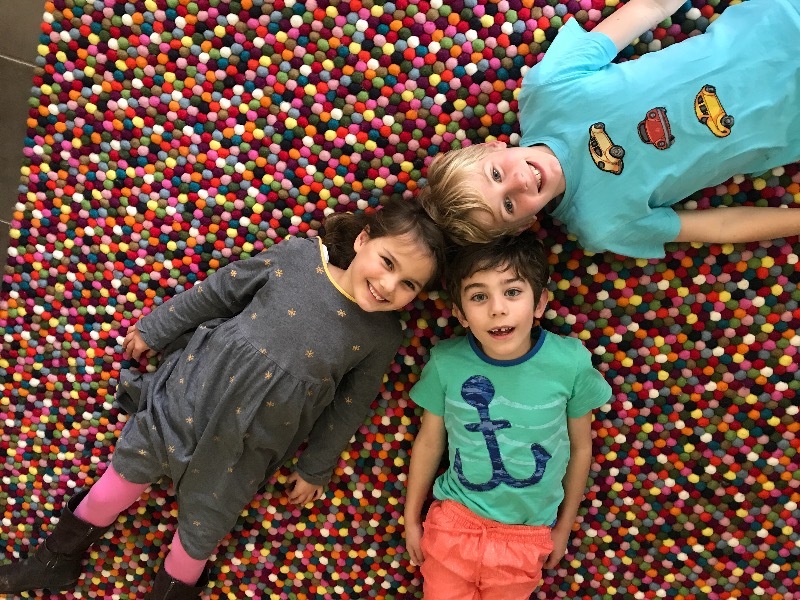 We would like to say thank you for our beautiful rug. Our little son loves the rug, he rolls around on it, sits and plays. 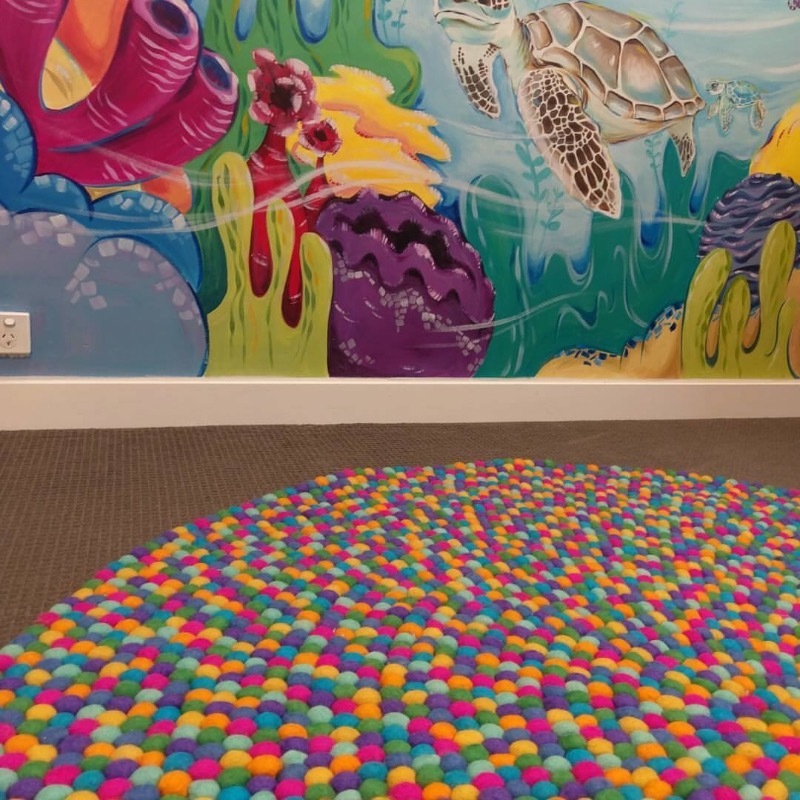 Its a wonderful addition to our play room and the softness and the colours of the rug bring so much joy and laughter every day. The rug was made with so much attention to detail and we will look after it for many years to come. Very happy with this product. Fast delivery and quality goods. Will order again!